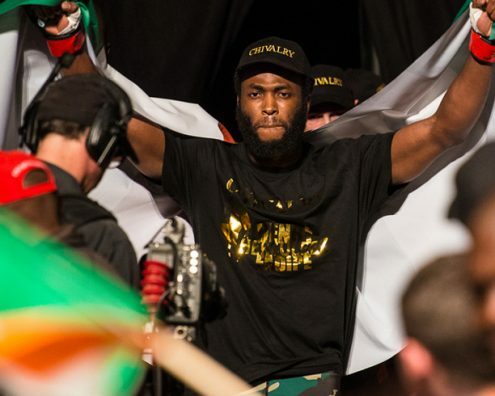 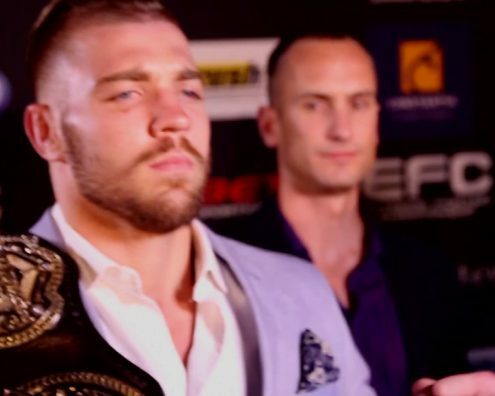 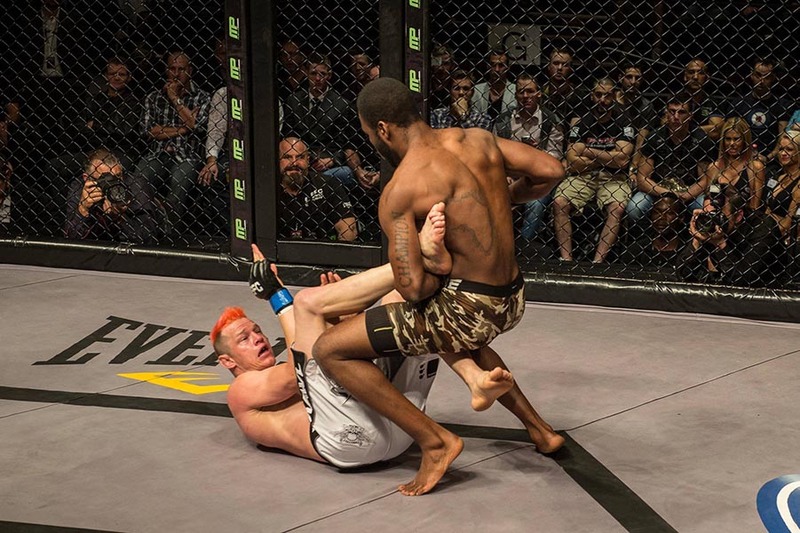 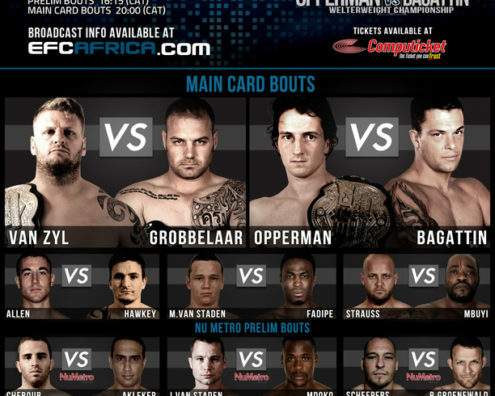 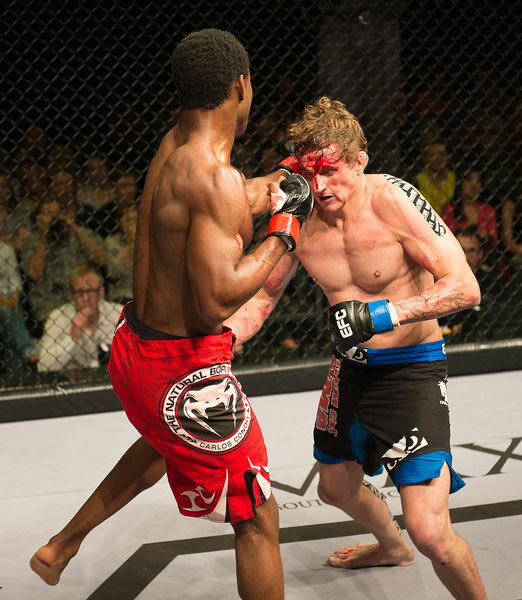 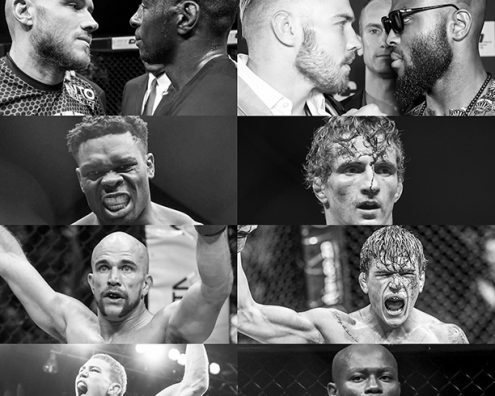 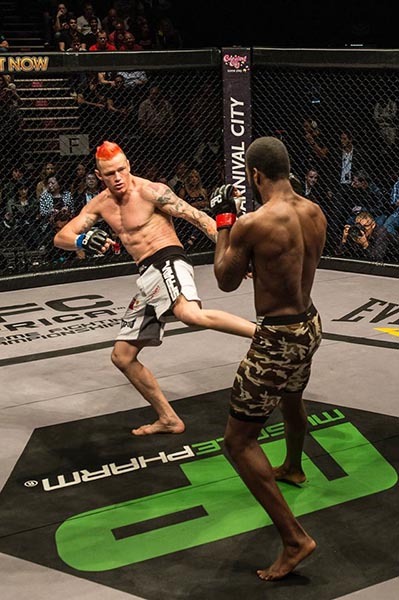 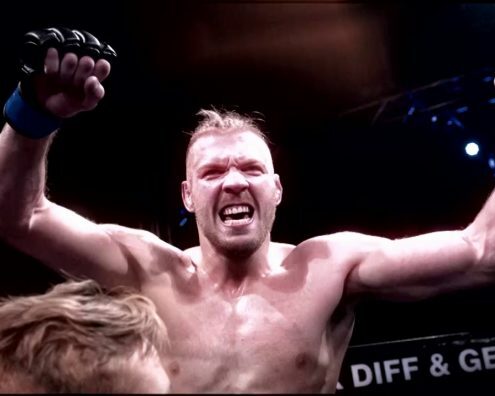 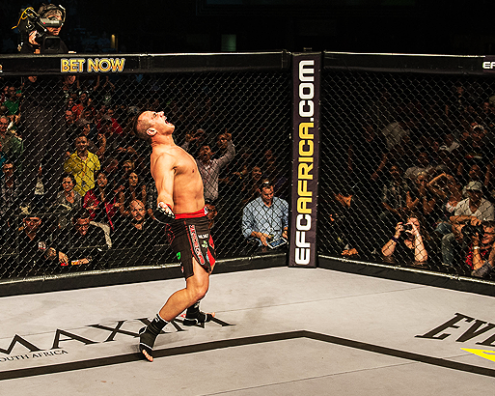 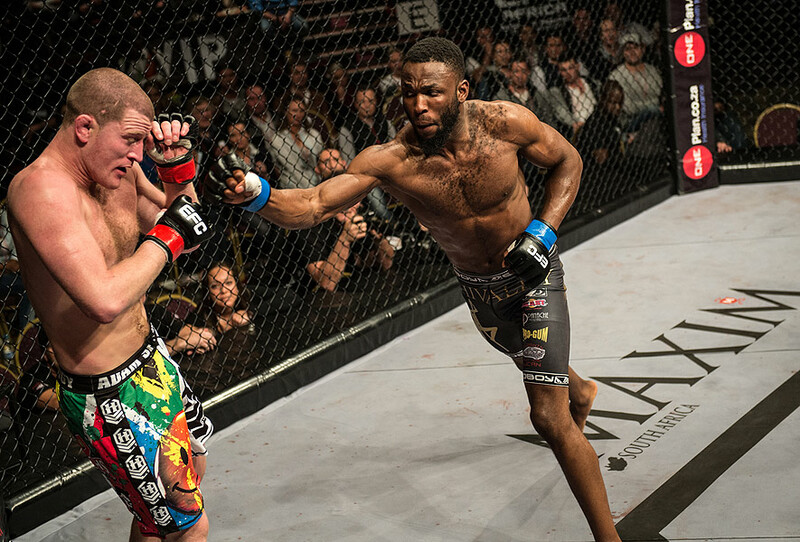 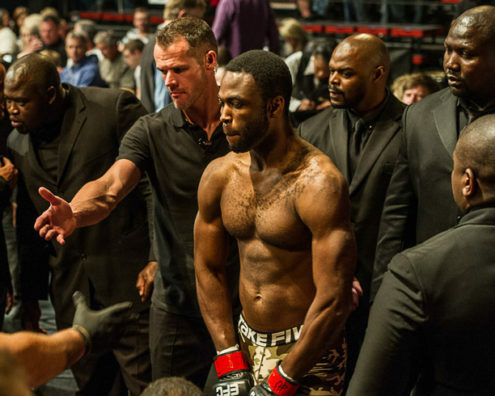 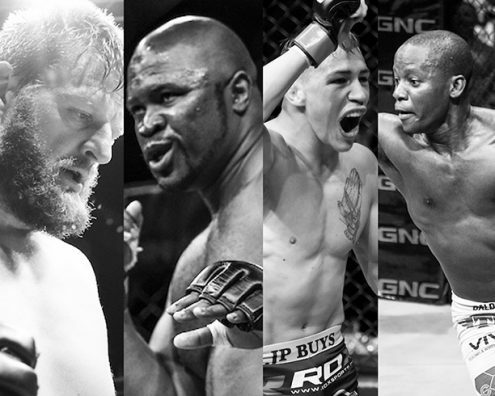 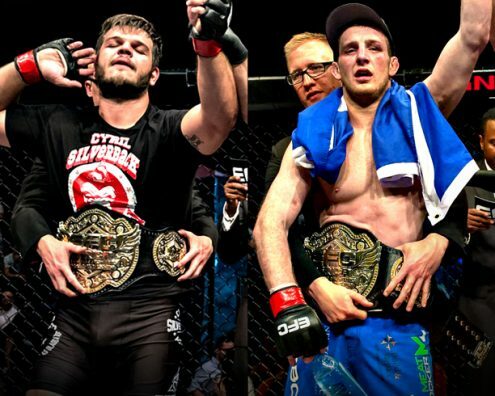 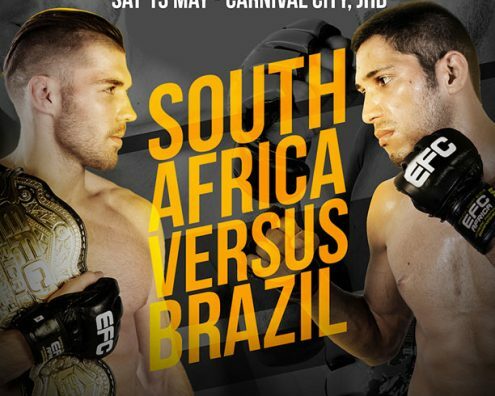 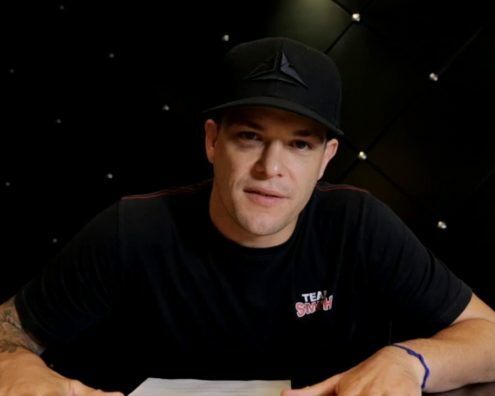 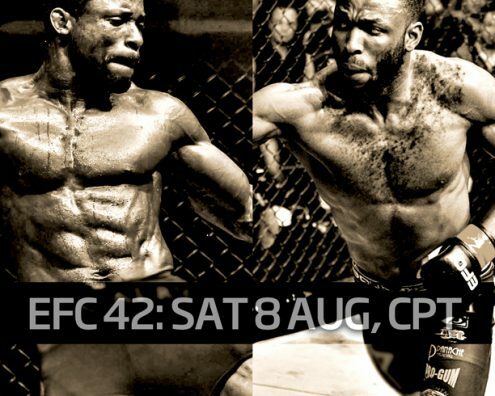 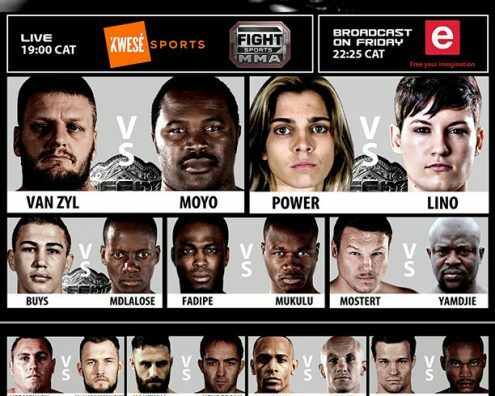 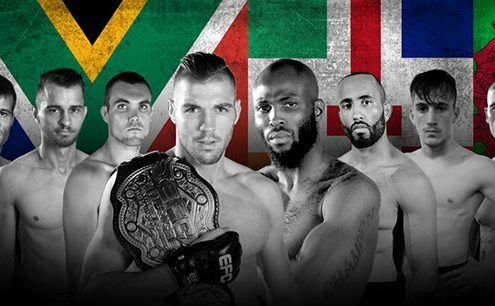 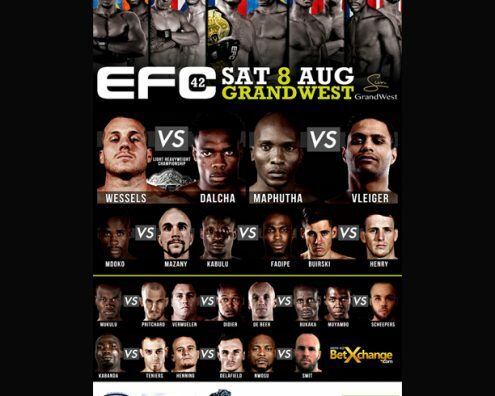 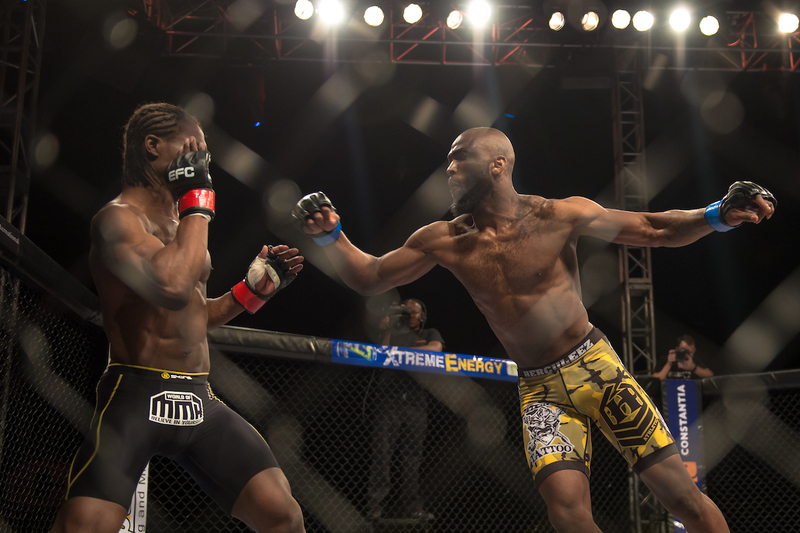 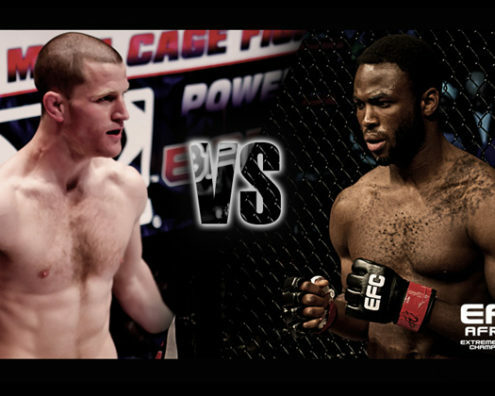 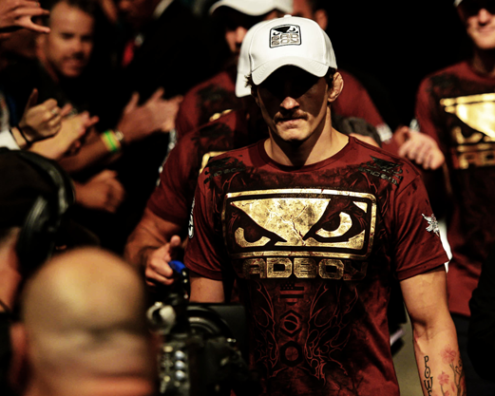 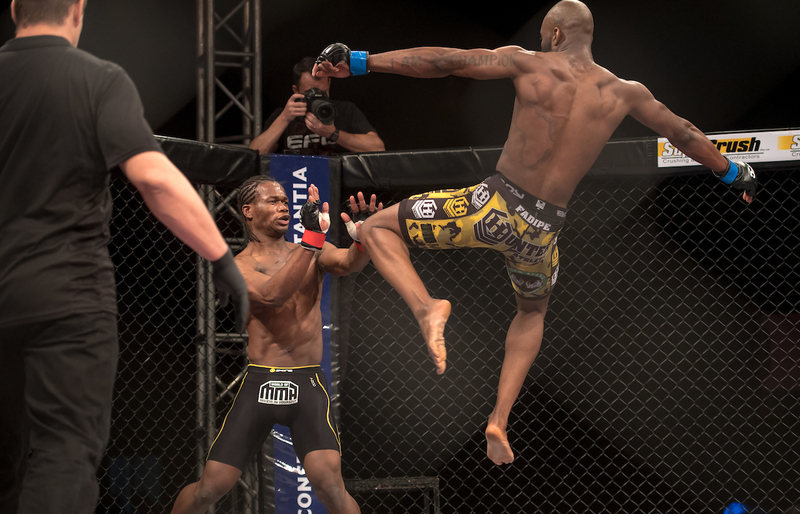 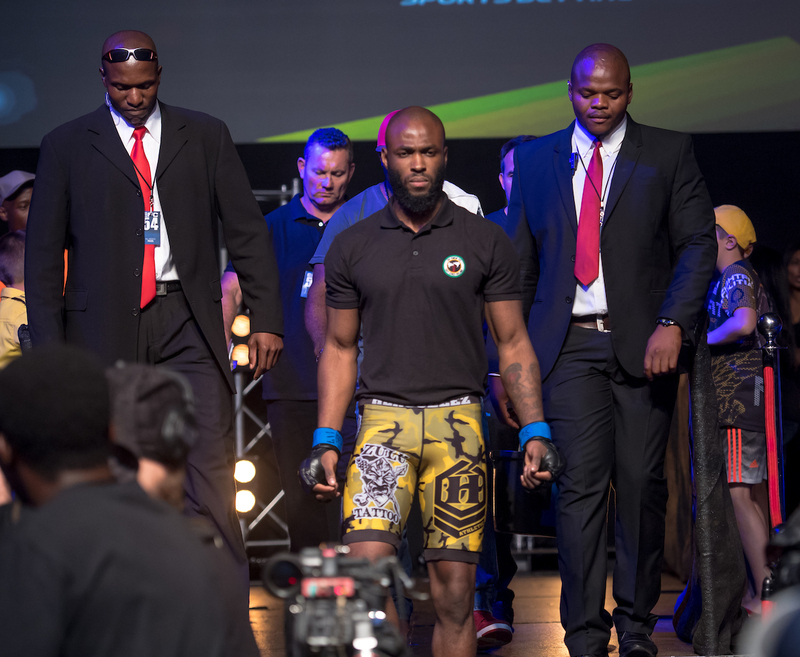 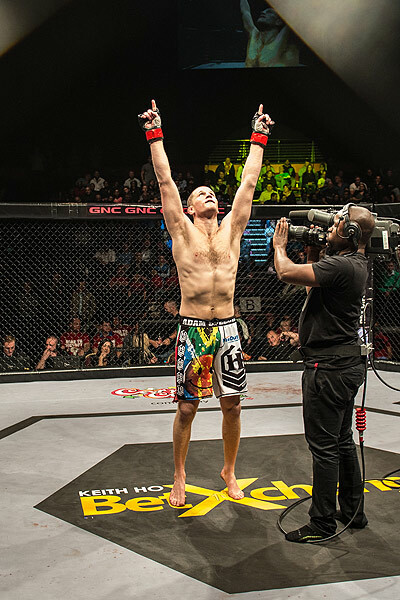 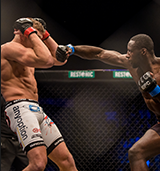 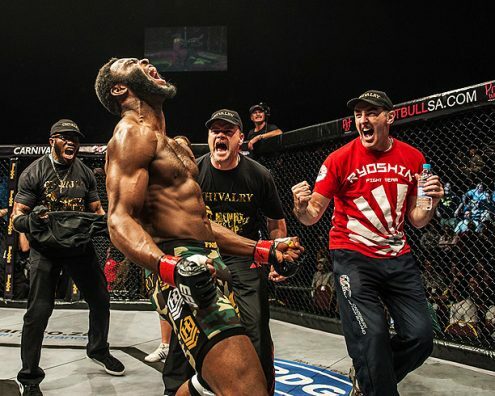 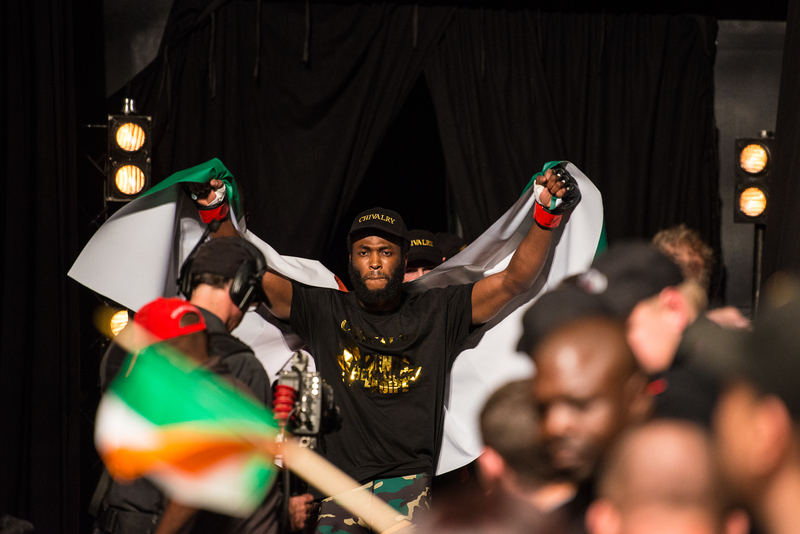 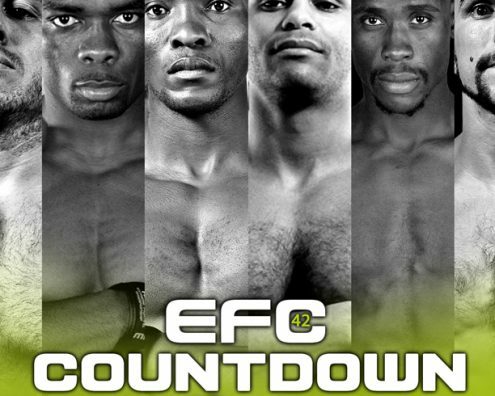 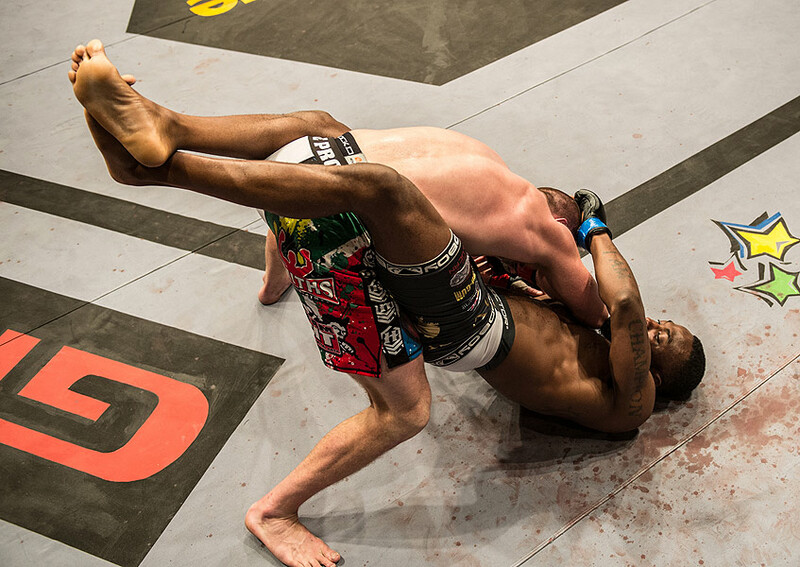 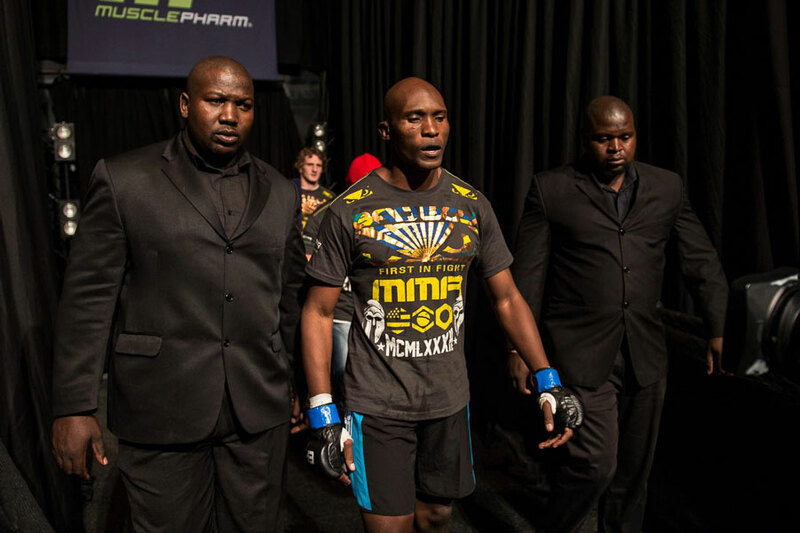 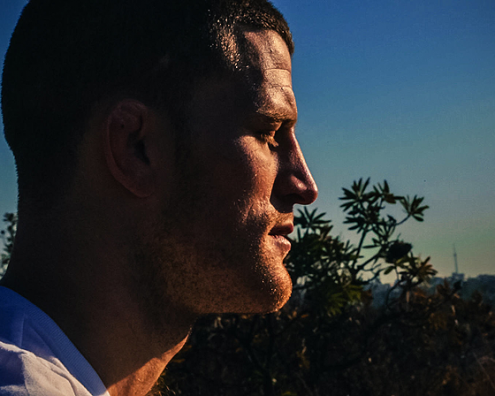 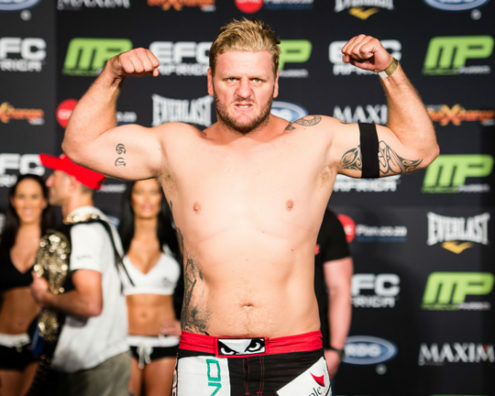 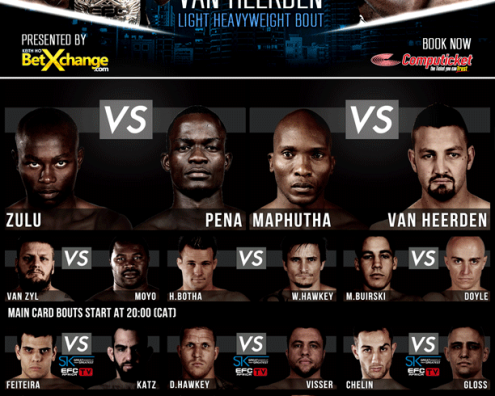 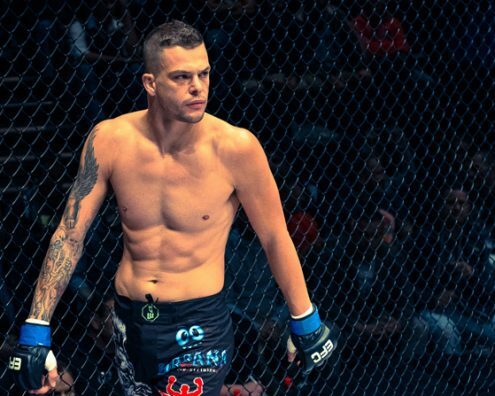 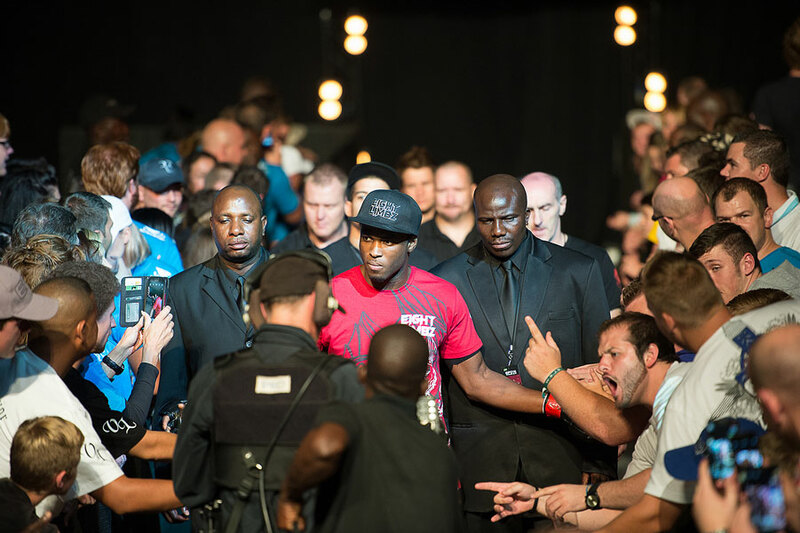 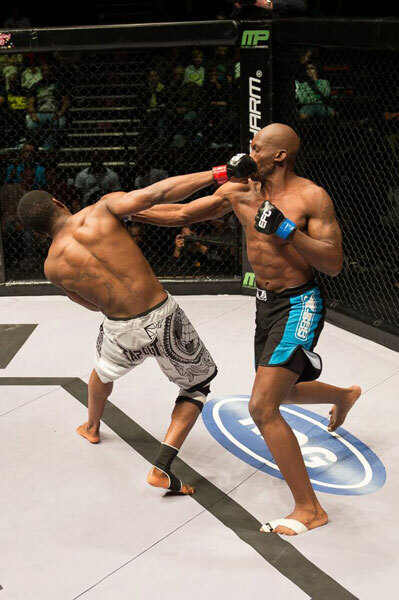 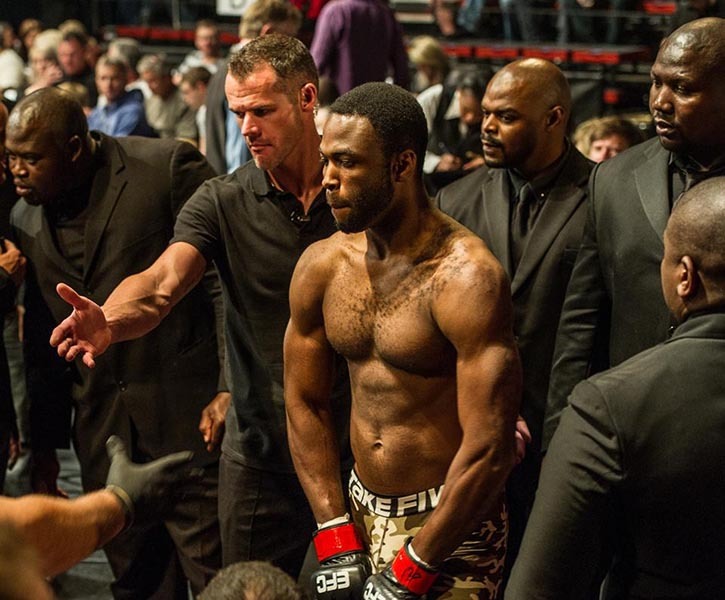 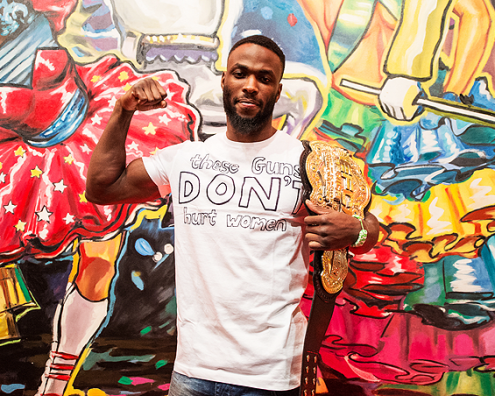 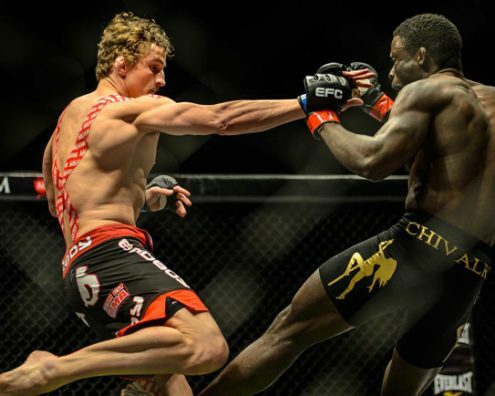 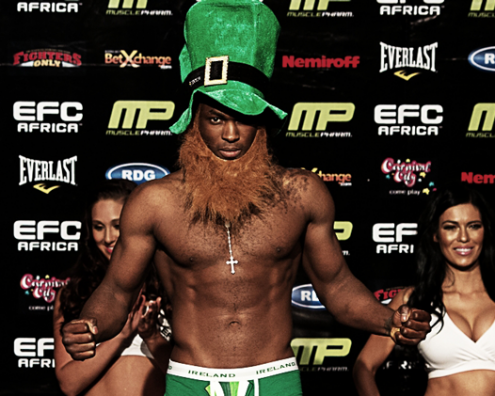 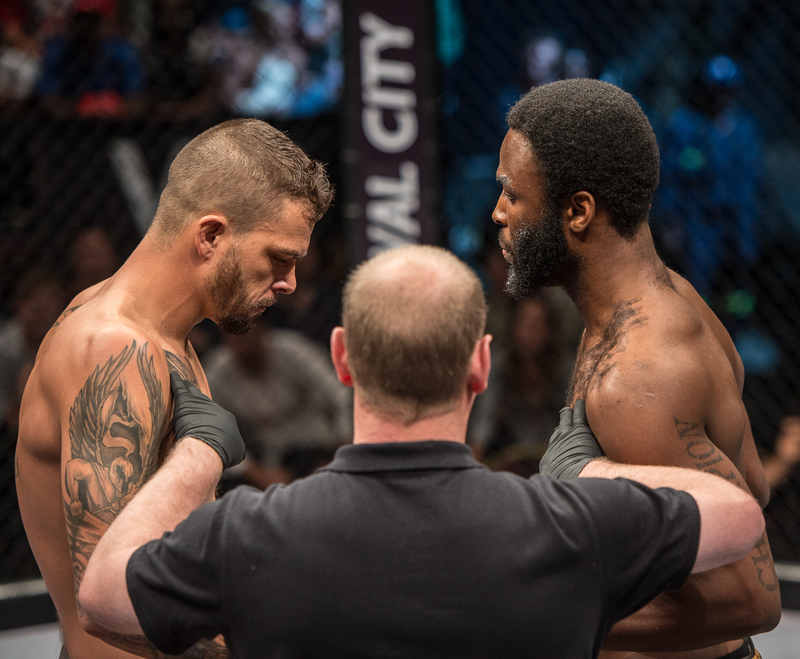 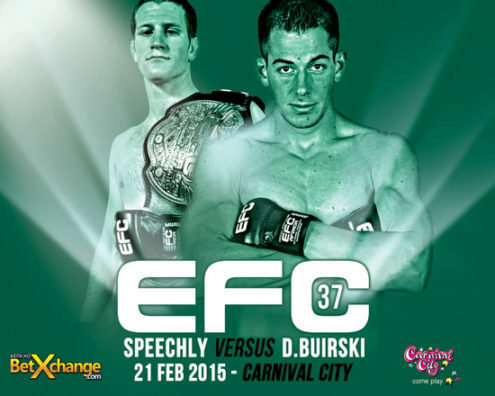 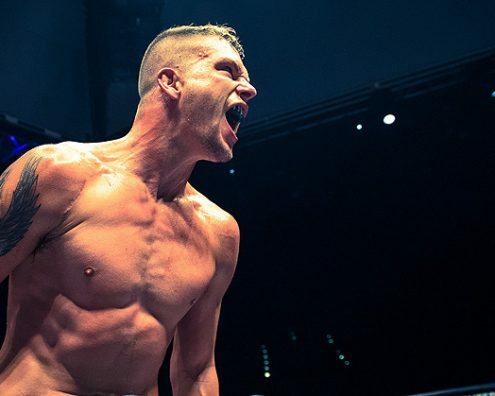 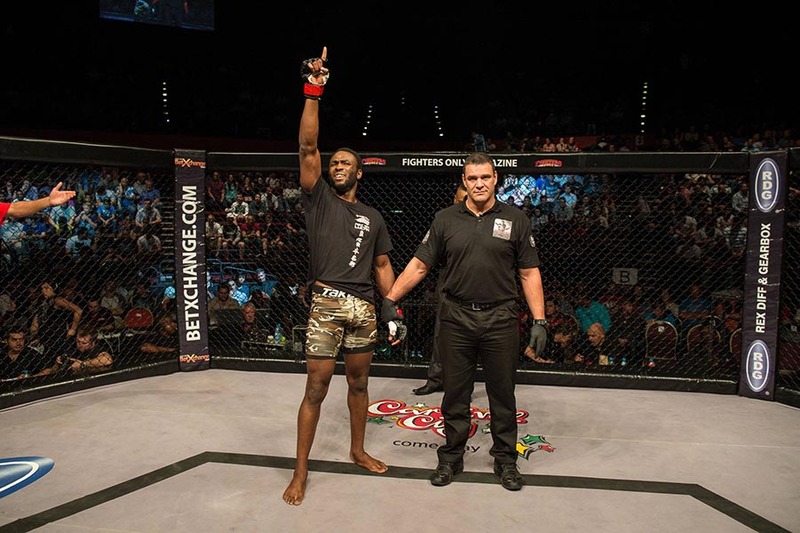 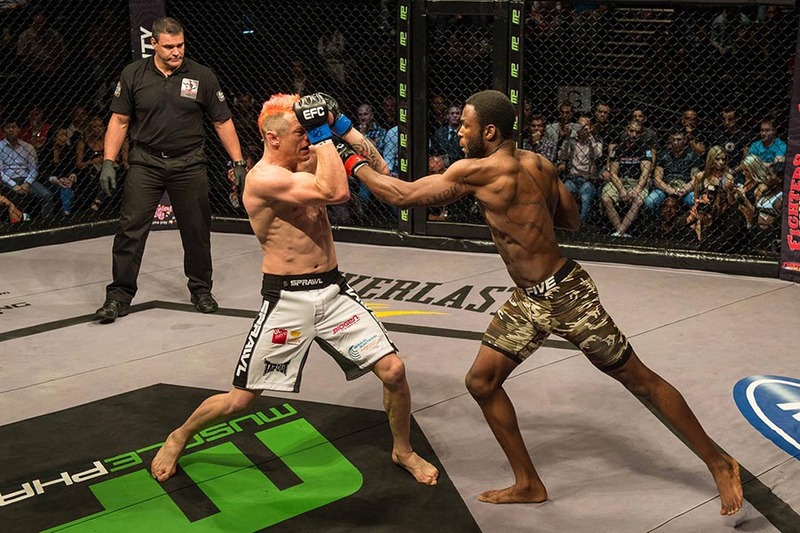 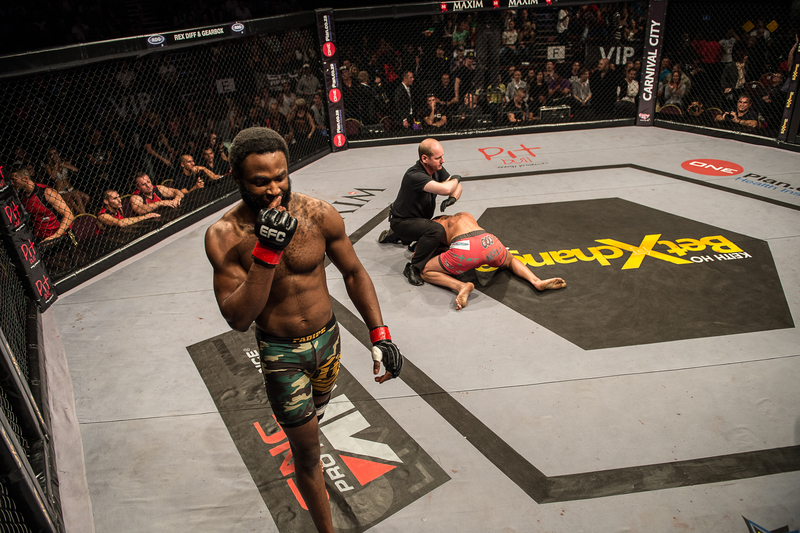 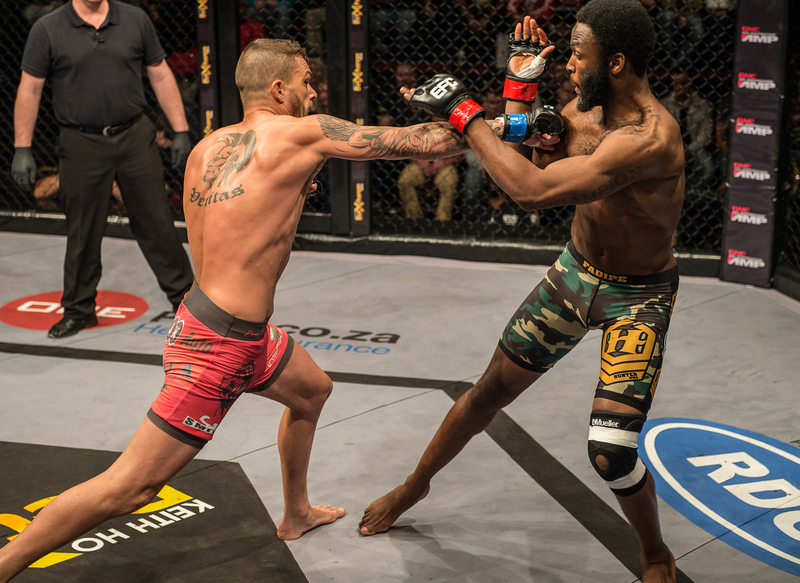 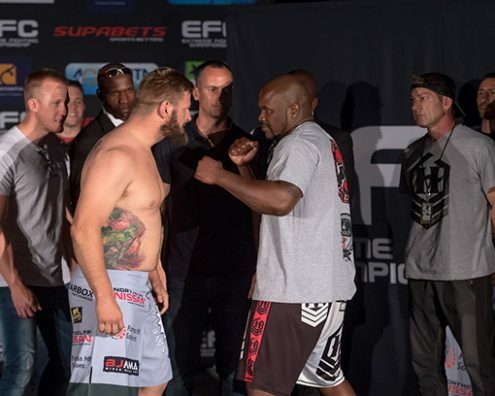 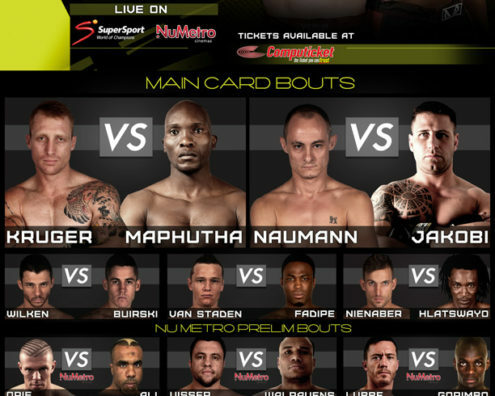 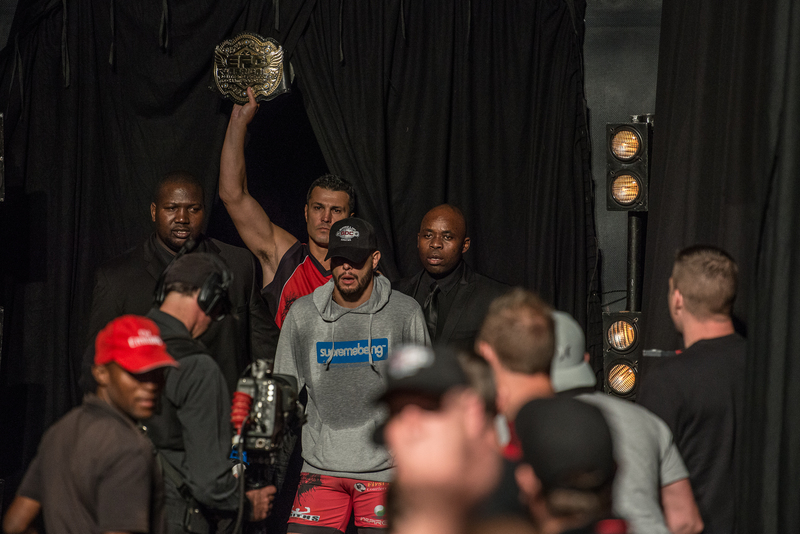 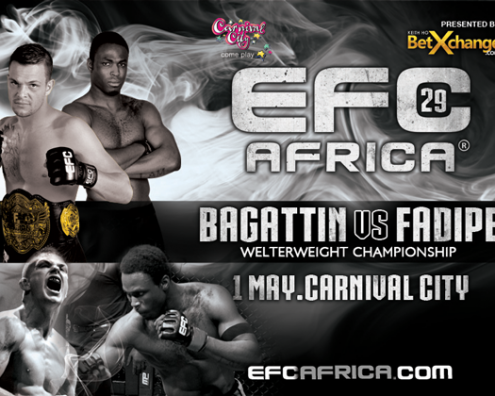 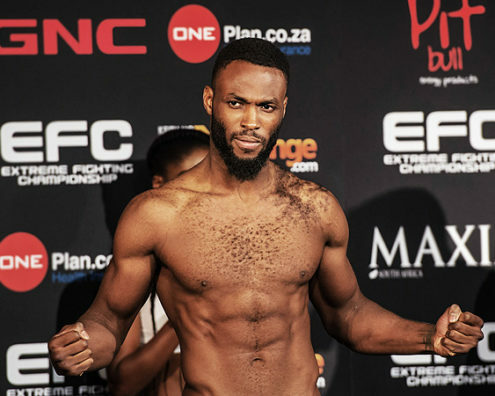 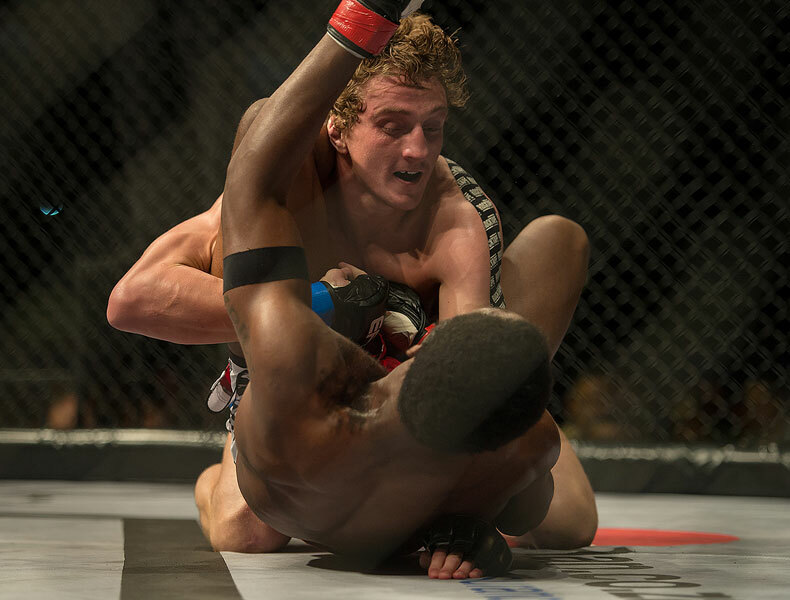 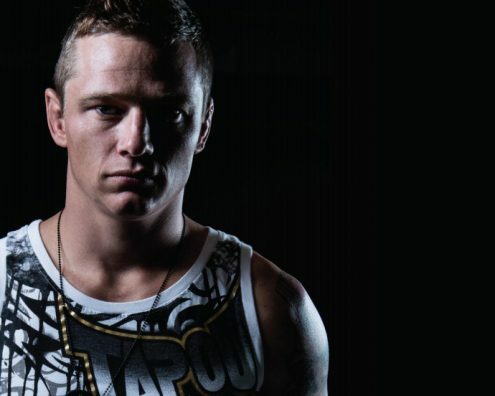 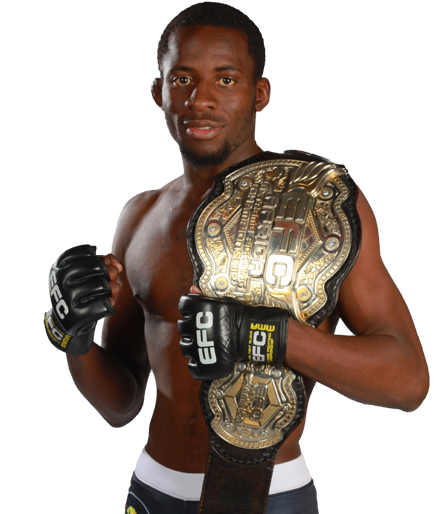 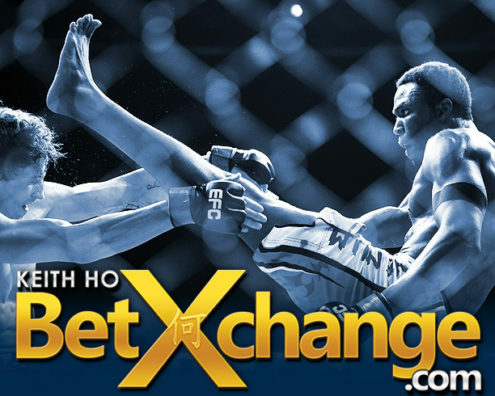 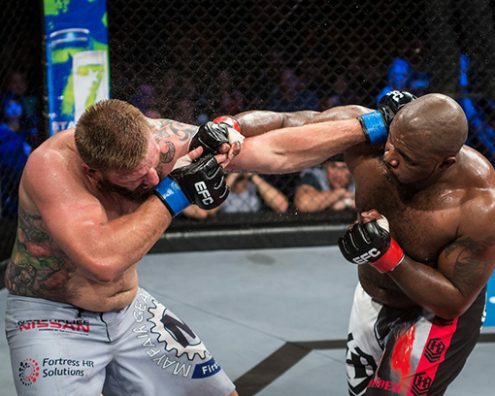 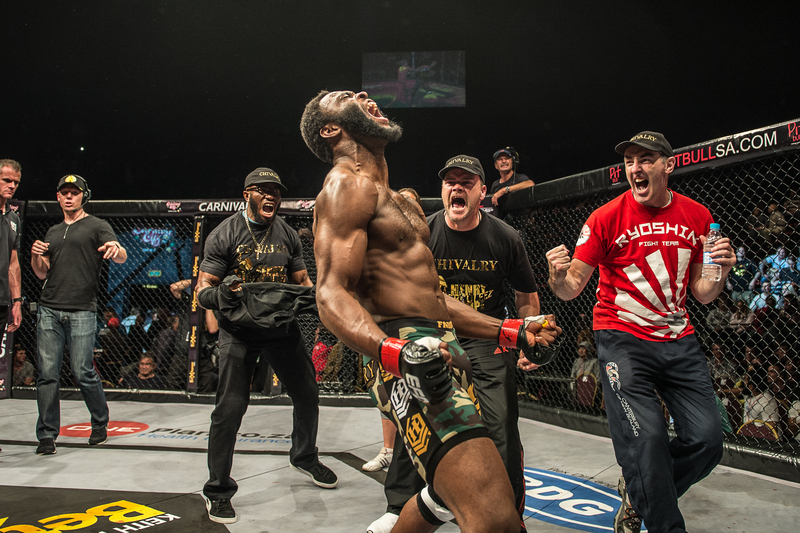 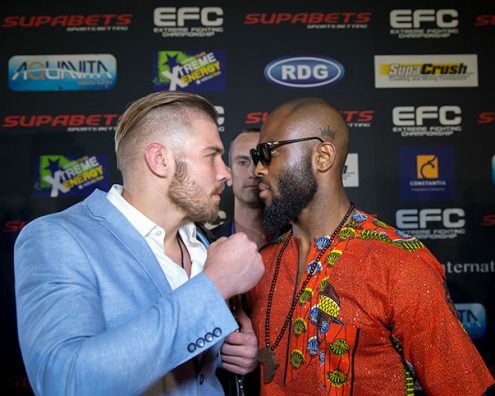 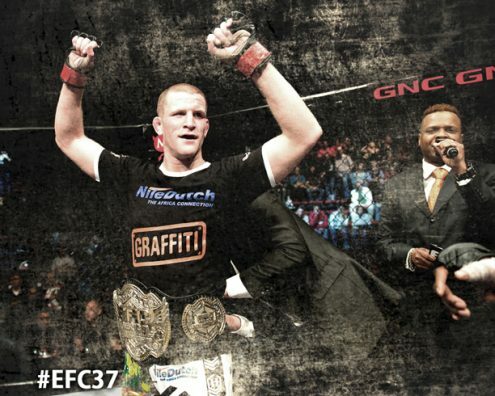 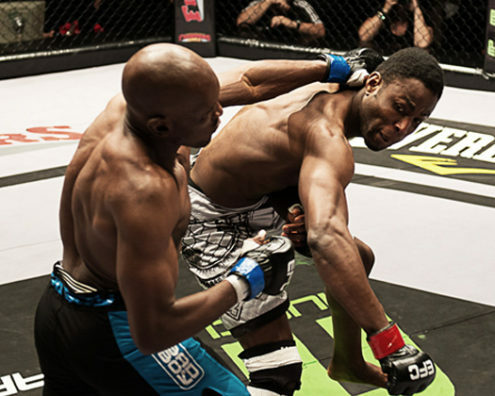 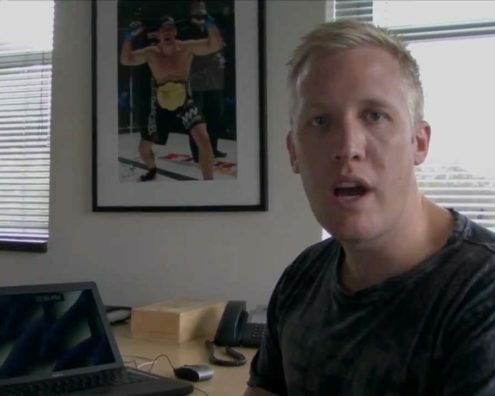 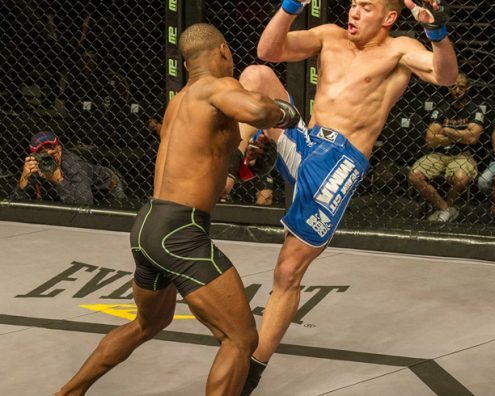 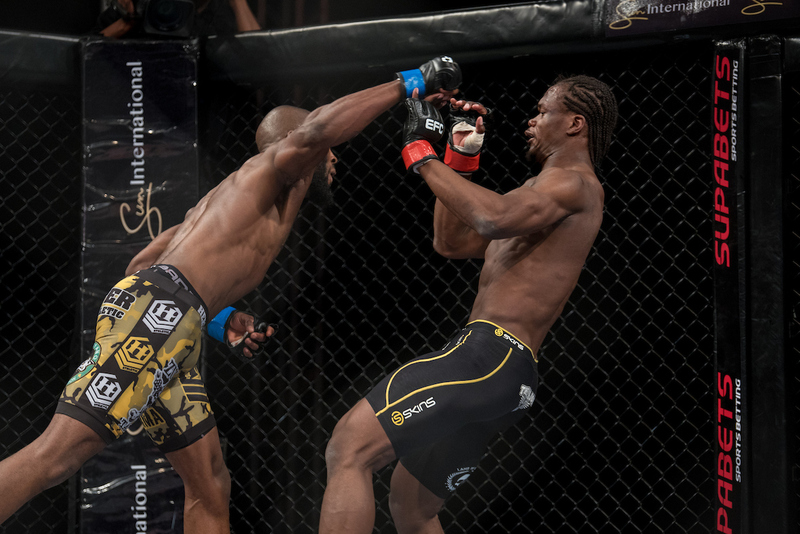 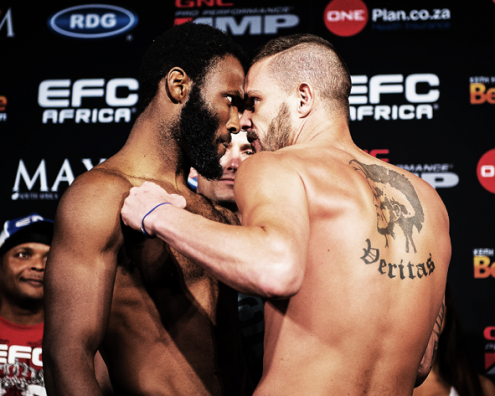 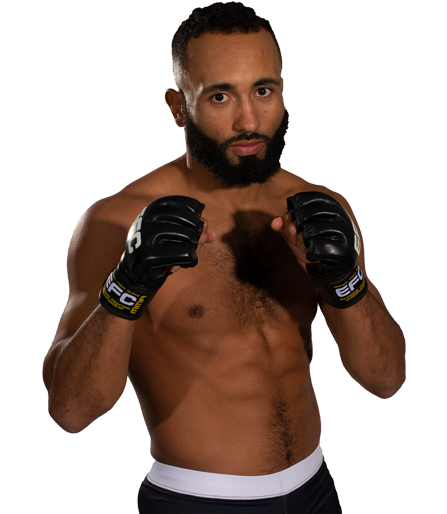 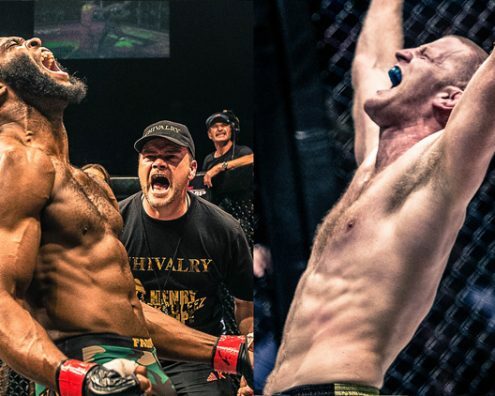 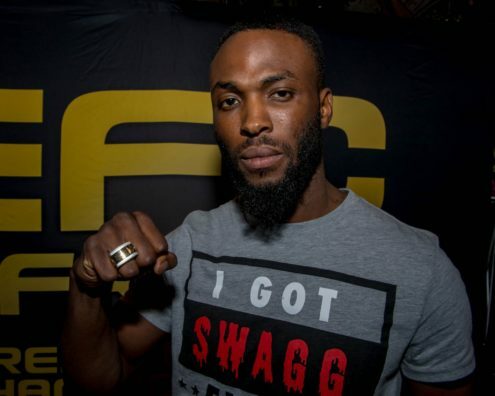 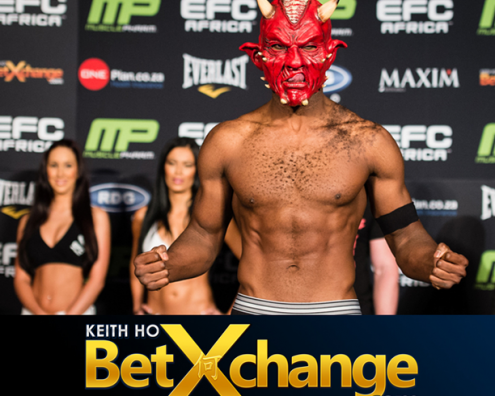 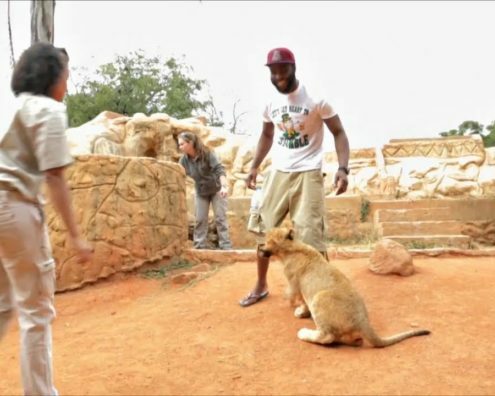 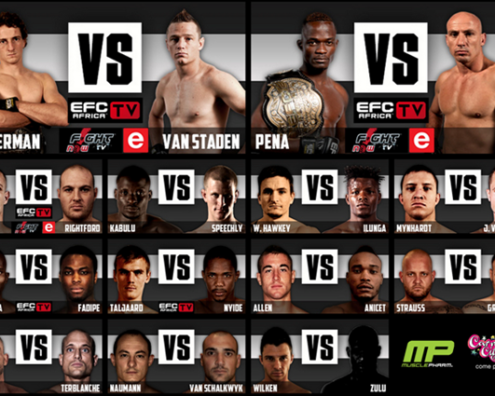 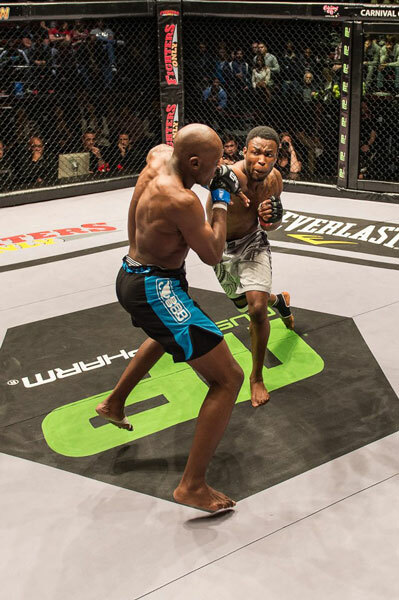 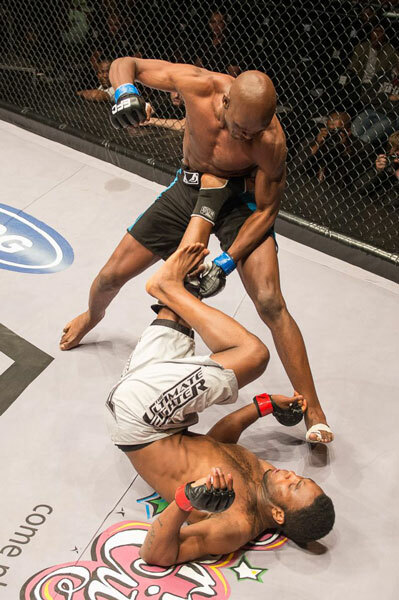 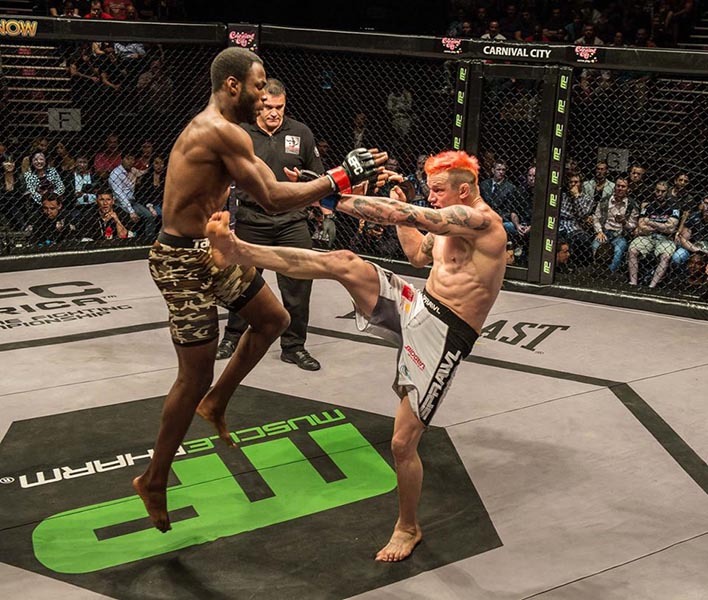 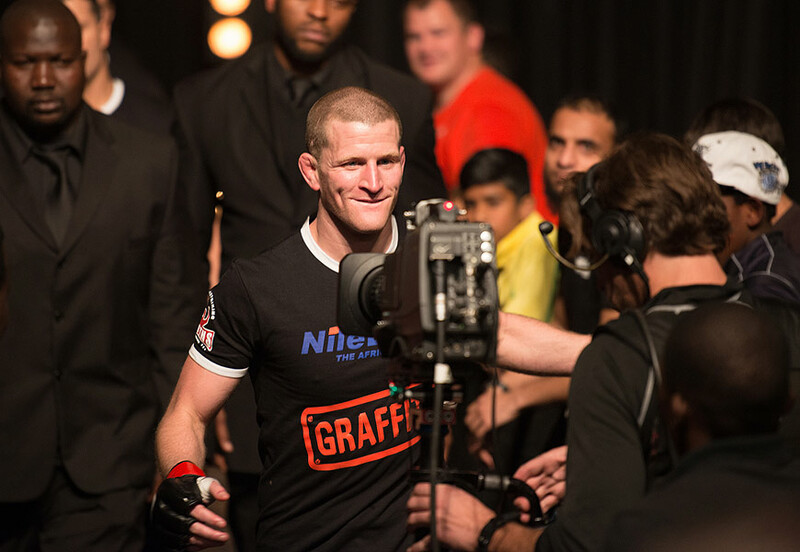 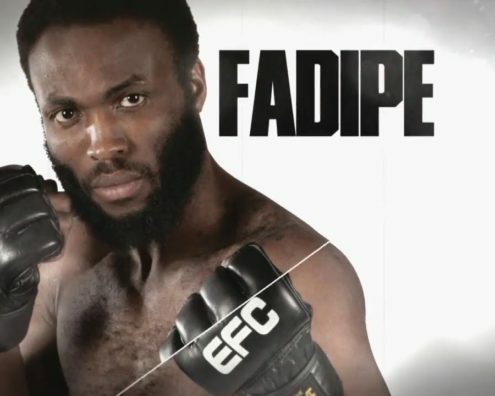 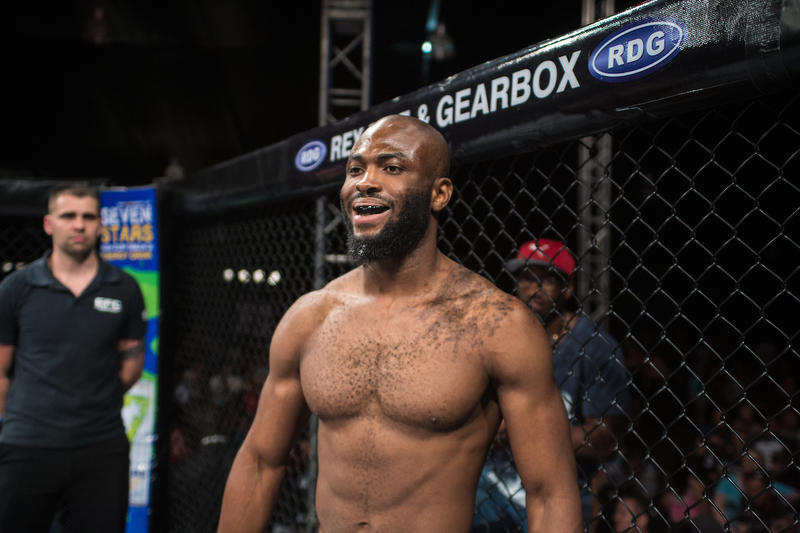 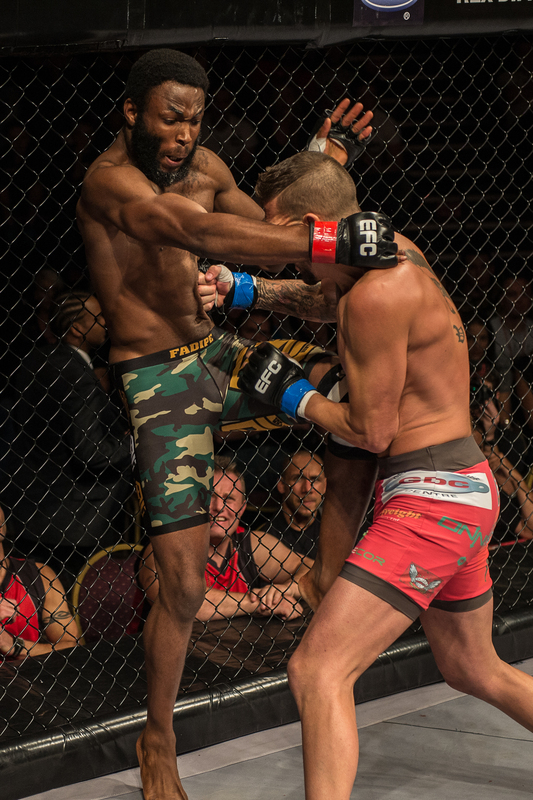 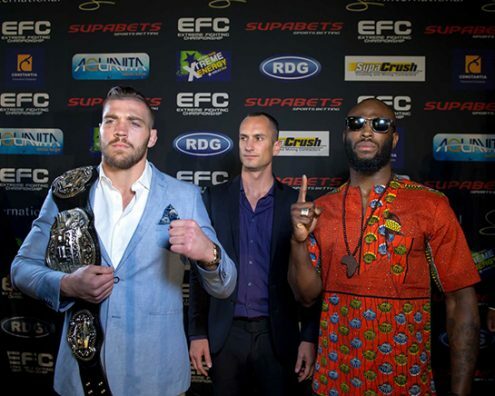 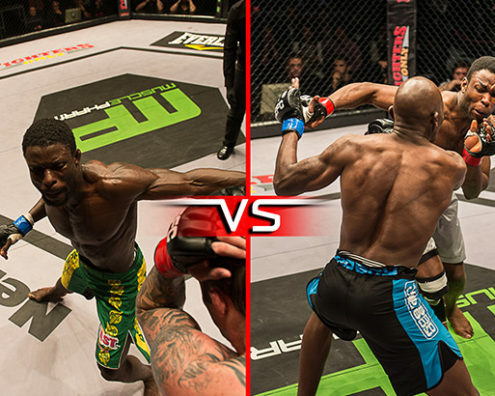 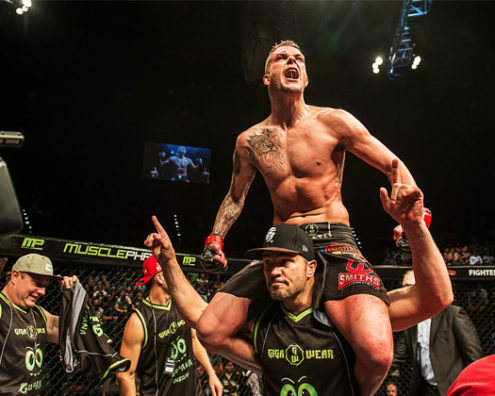 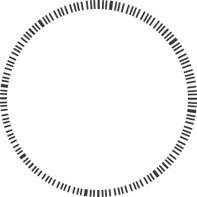 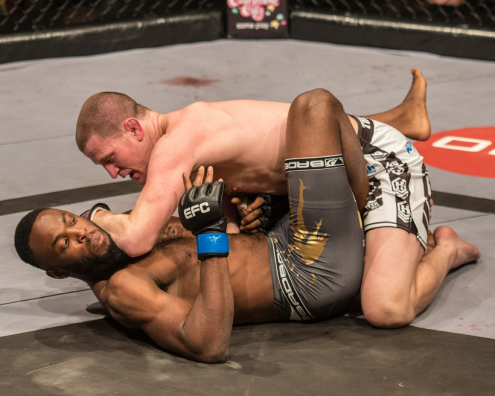 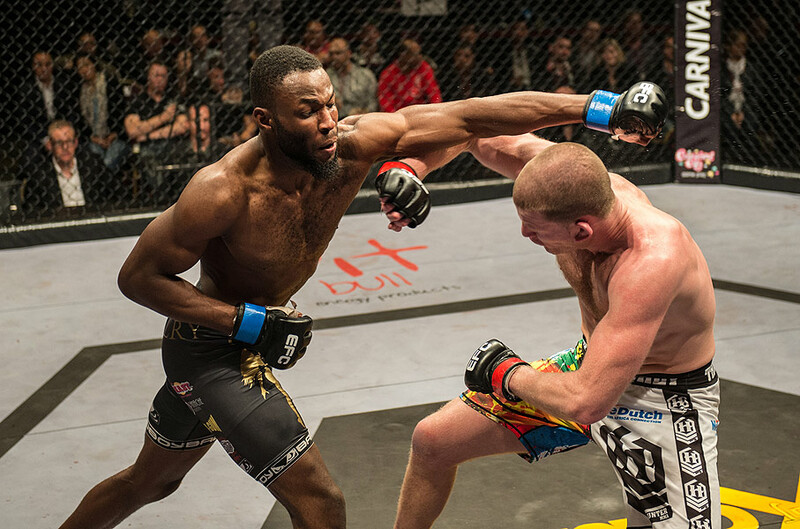 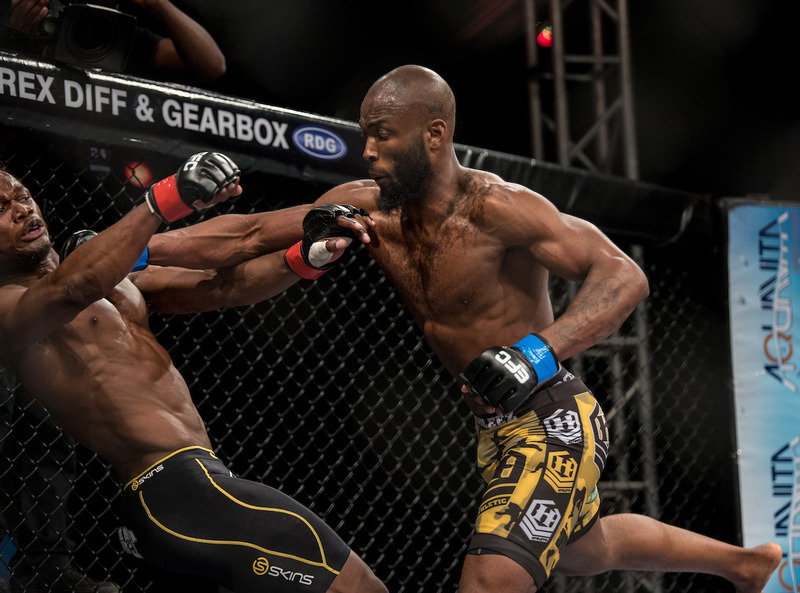 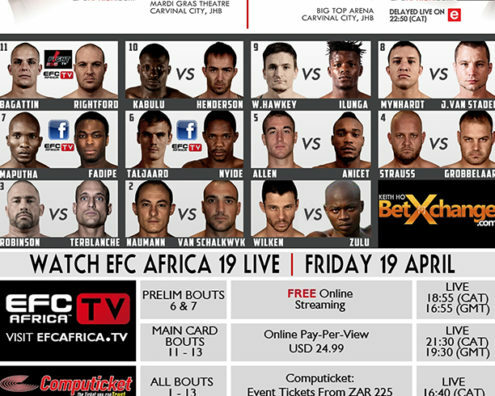 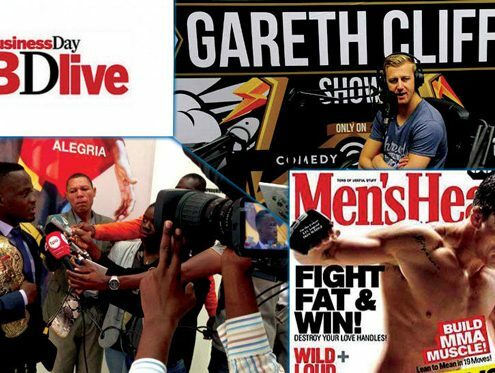 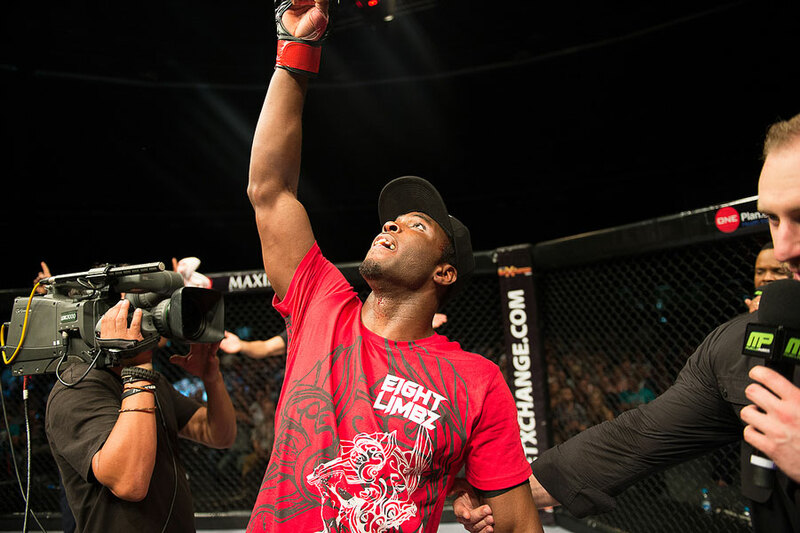 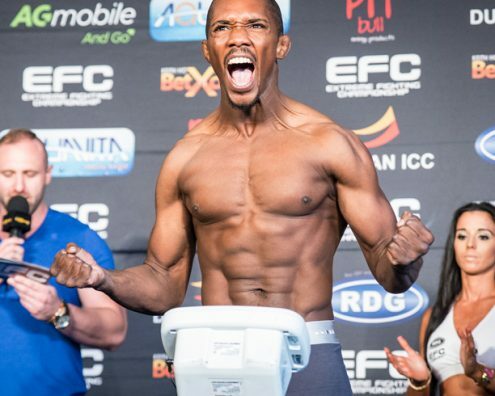 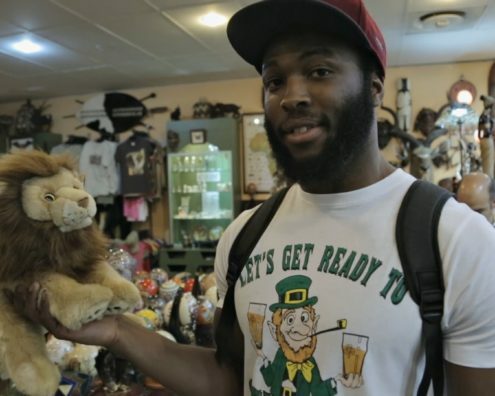 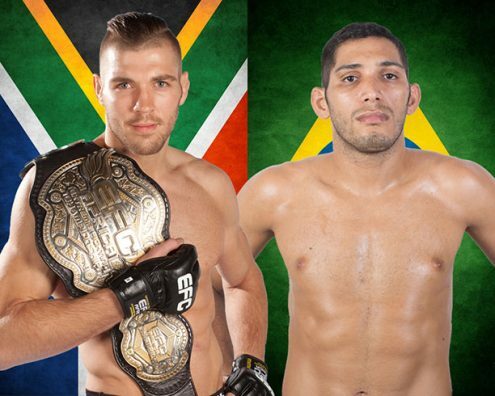 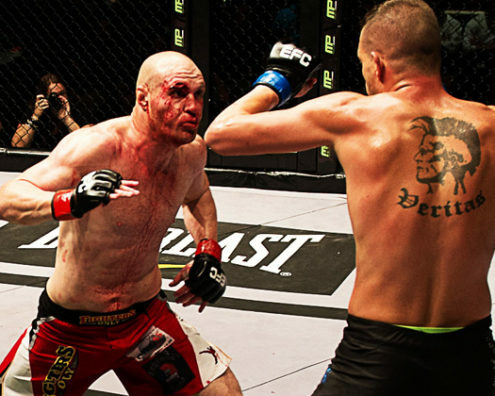 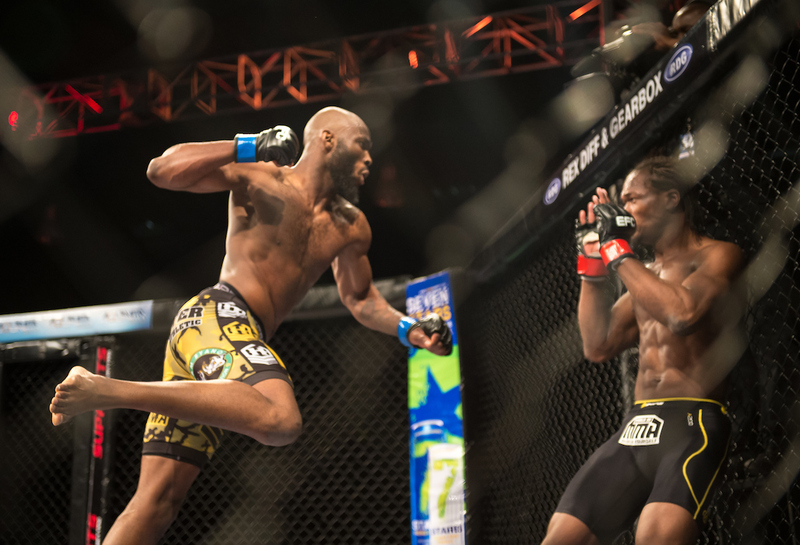 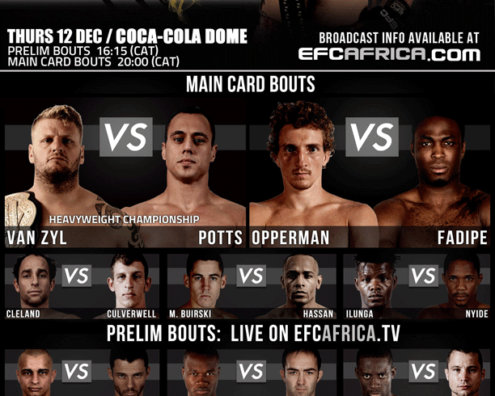 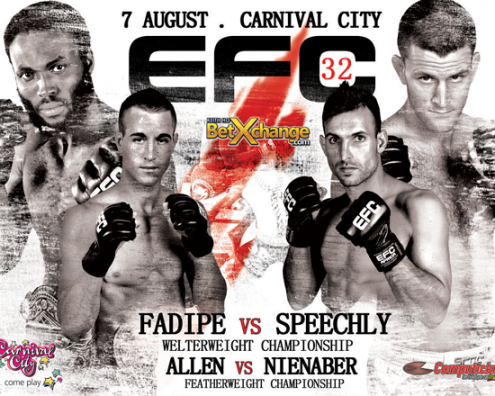 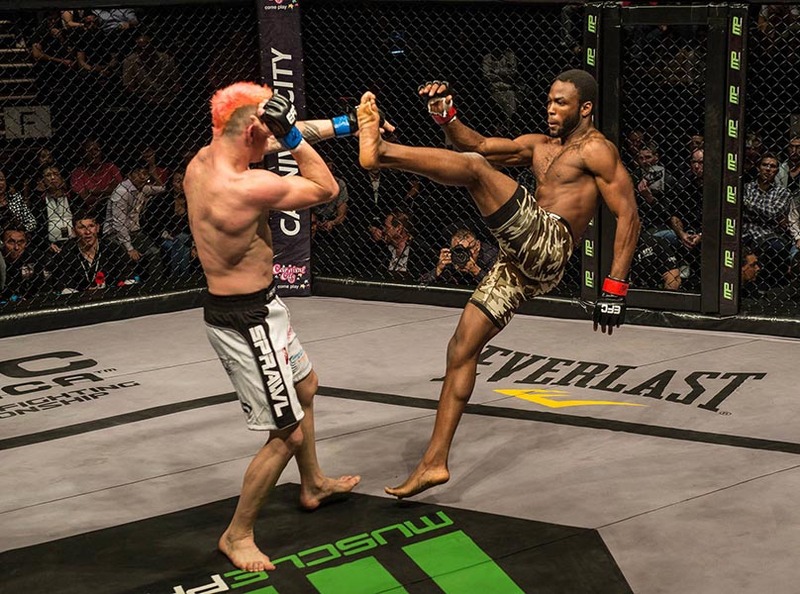 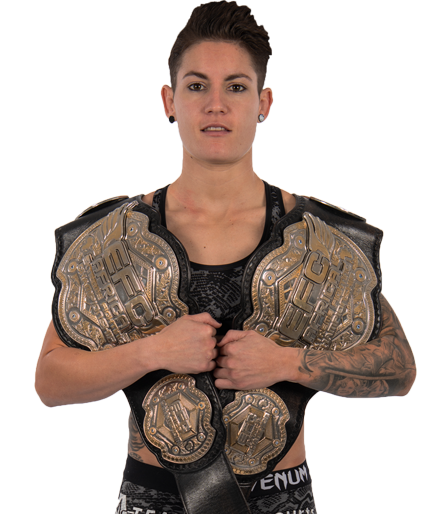 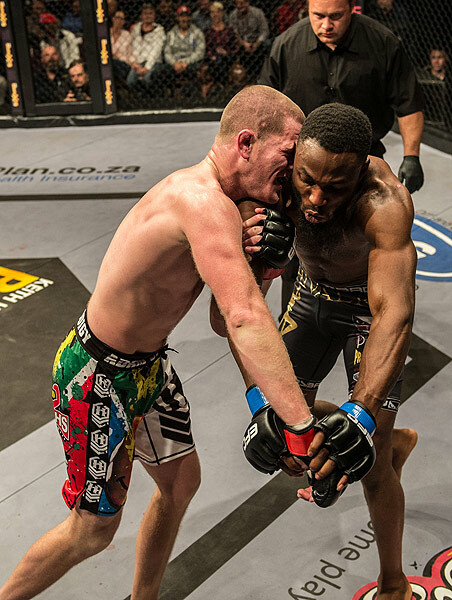 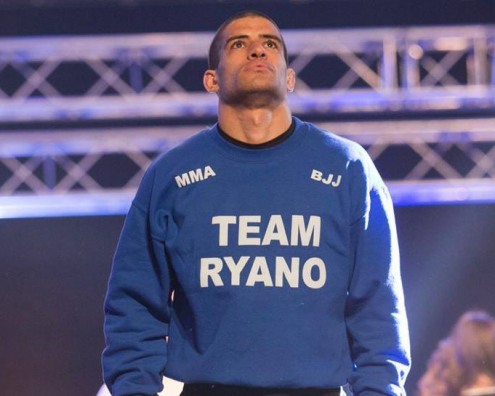 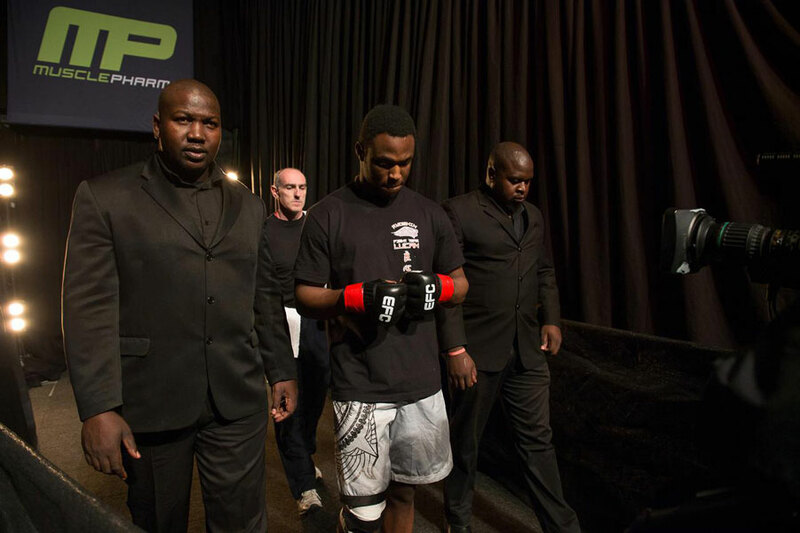 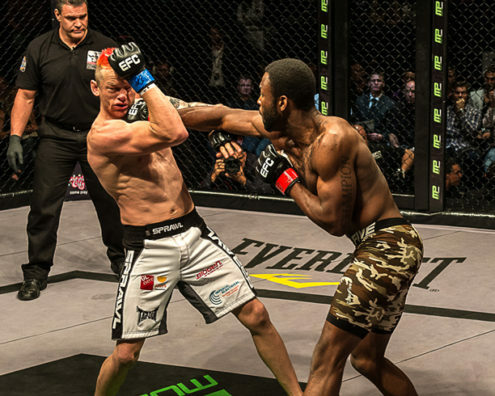 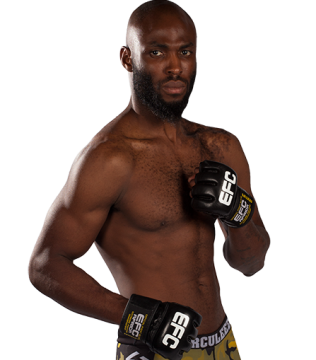 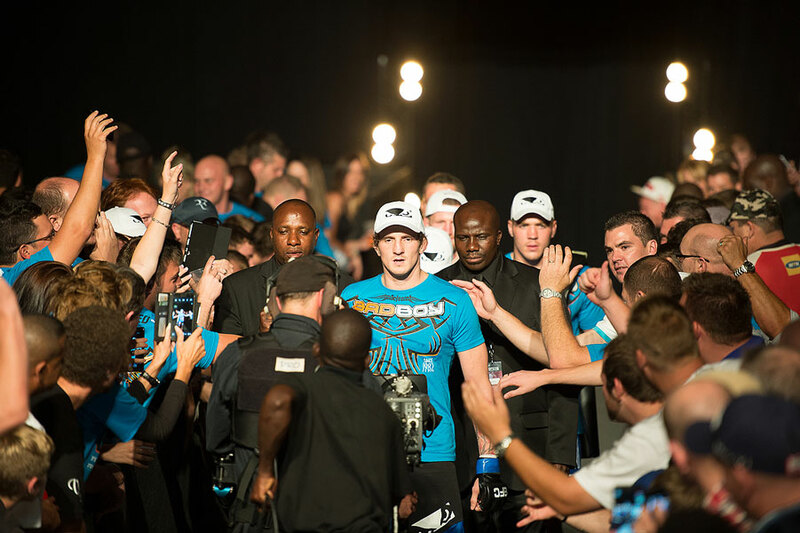 EFC AFRICA 29: Where’s Dino? 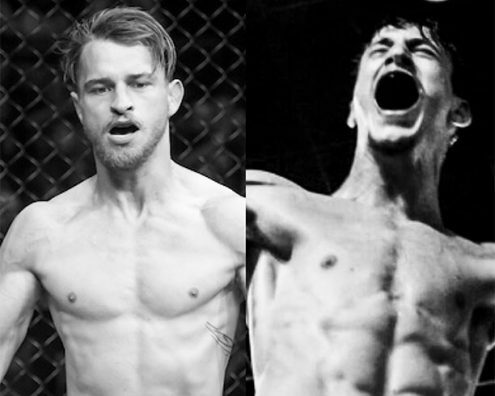 Eat right, Train right and watch Bruce Lee movies. 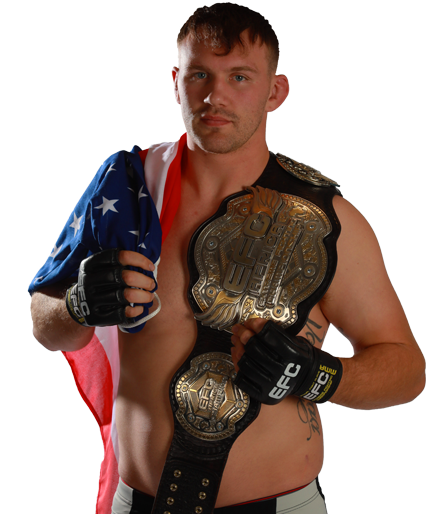 I wrestled a little as a kid but never really took it further. 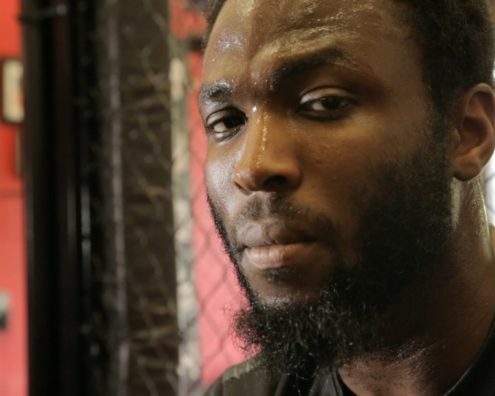 I took up boxing at the age of 13 due to all the racism in my area at the time. 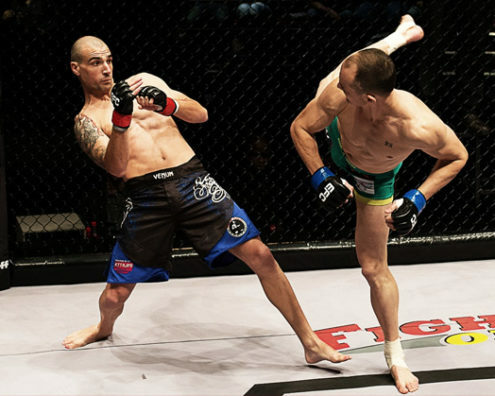 A couple of years after that I branched to karate because I wanted to learn to use other parts of my body to fight. 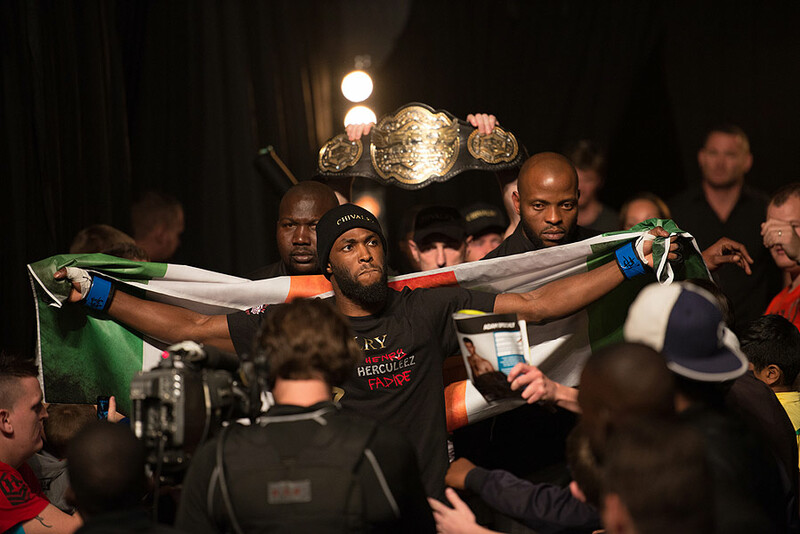 I got to green belt and had to stop because of my Leaving cert exams. 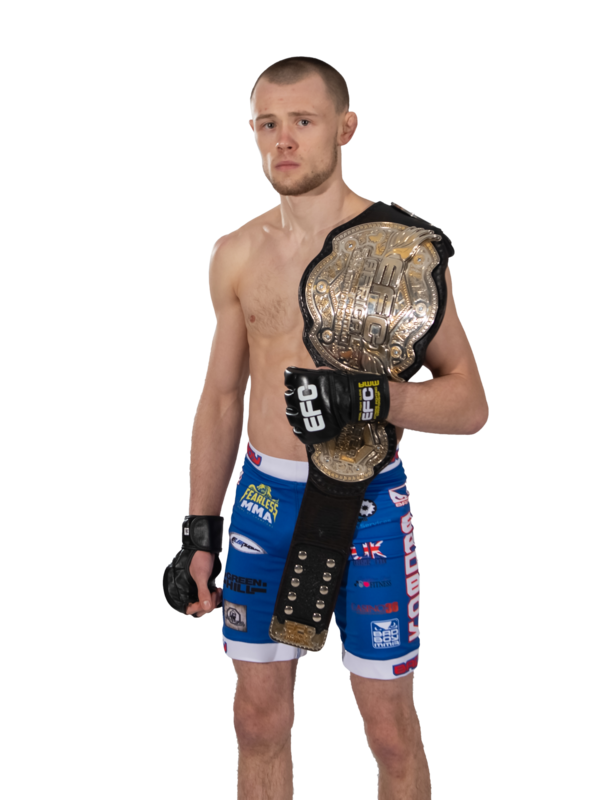 I started college at 17 and was introduced to MMA, started training before shortly joining Lucan MMA. 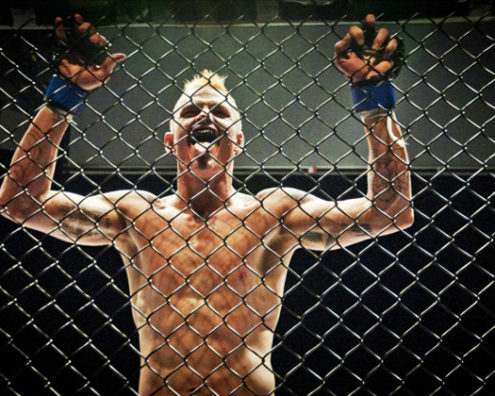 A year later I turned pro. 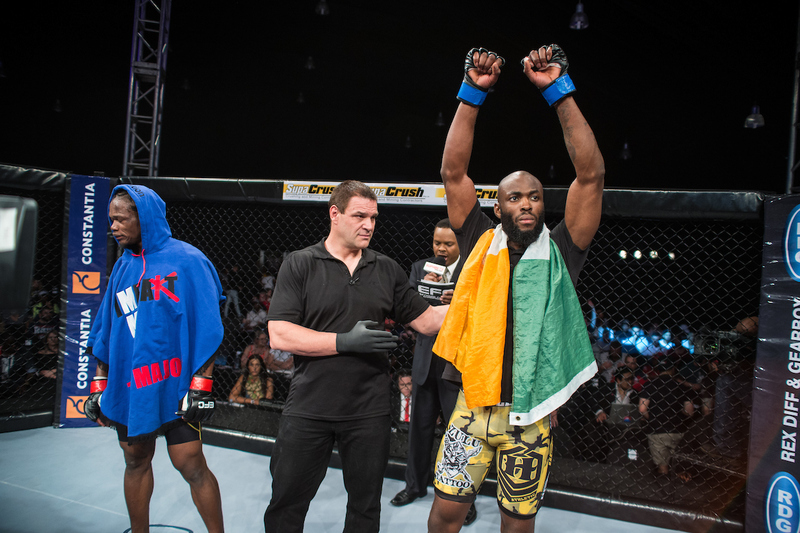 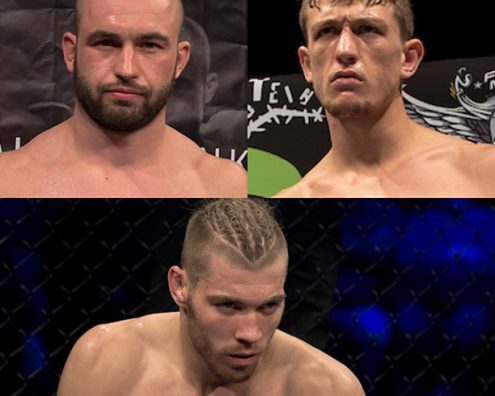 Top 5 in the Irish Middleweight division, Former Cage Gods Middleweight Champion, Current ISKA K-1 Champion at 81kg. 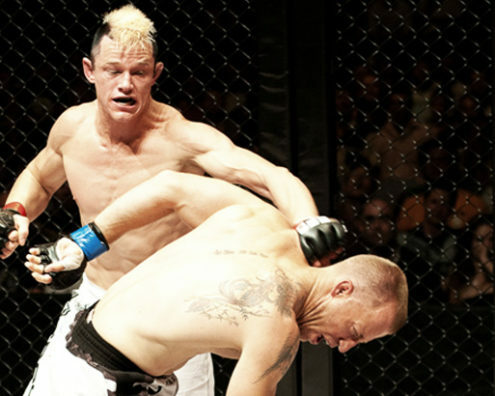 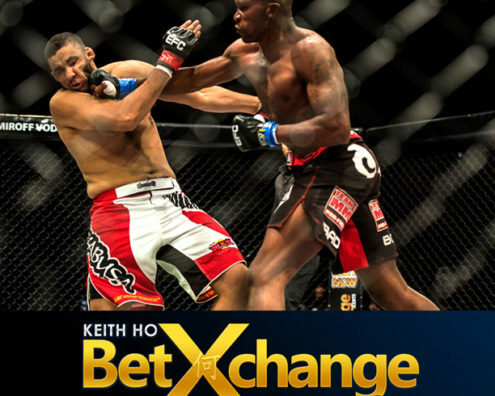 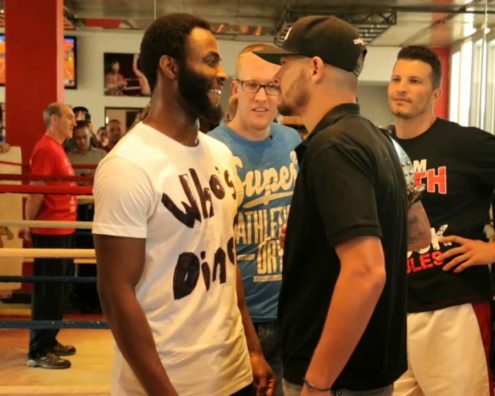 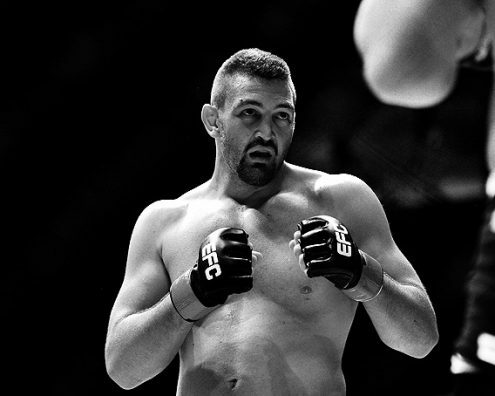 My most memorable fight would have to be my K-1 title fight against Christian Itchim. 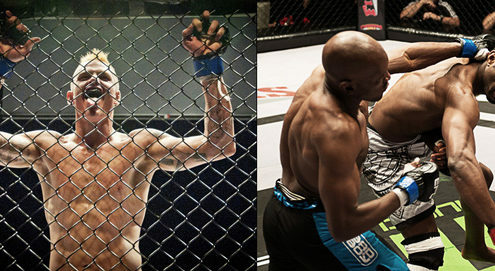 He used to be a k-1 world champion but stopped fighting for a while and aged a bit. 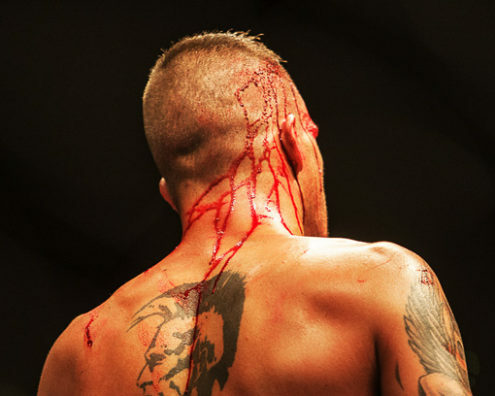 That made me sort of underestimate him a little, a mistake I realised as soon as the fight began. 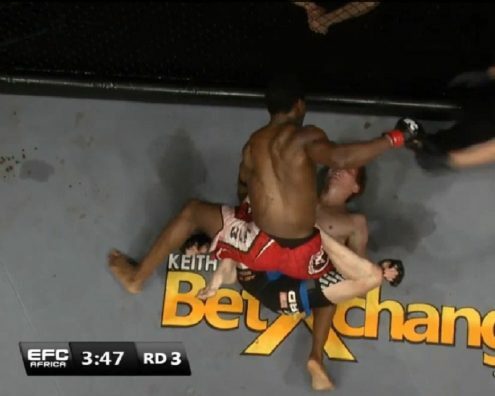 In the first round I hit him hard and he hit back just as hard. 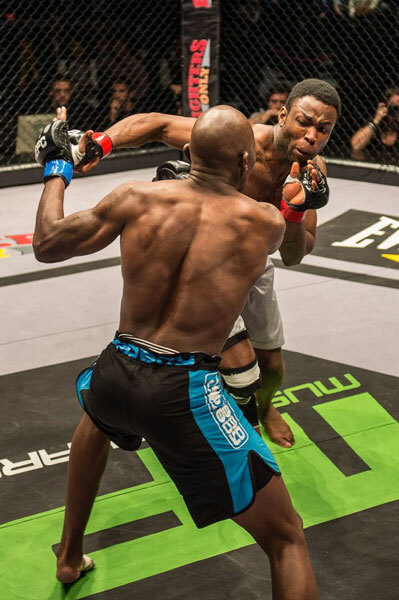 I punched him so hard in the face and not only did he not drop or even go on the back foot but he just rubbed his face and kept coming at me. 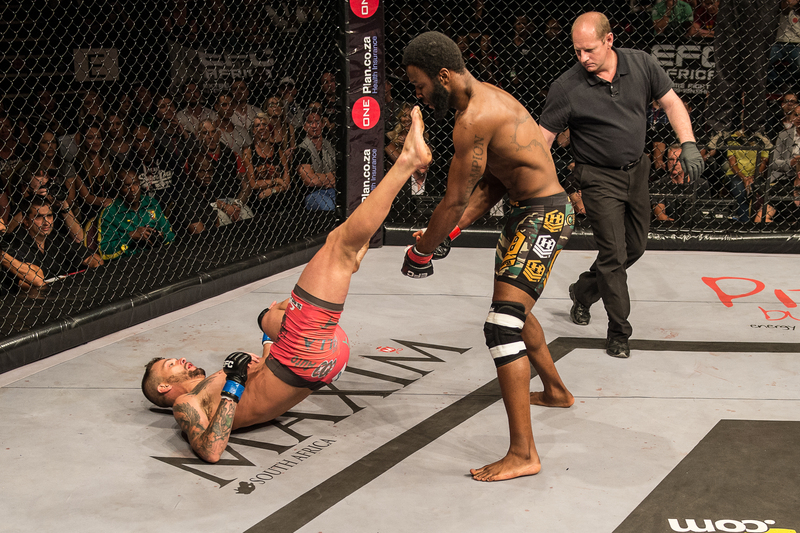 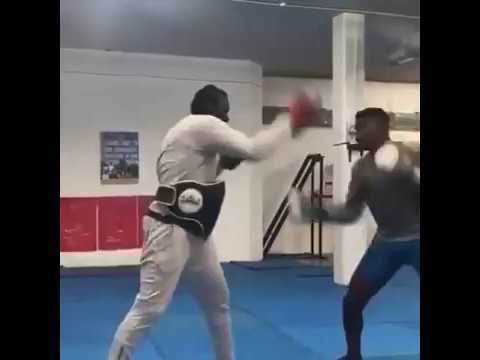 I threw a full force body kick which connected with his elbow, damaging the nerves in my chin (this was only half way into the first round). 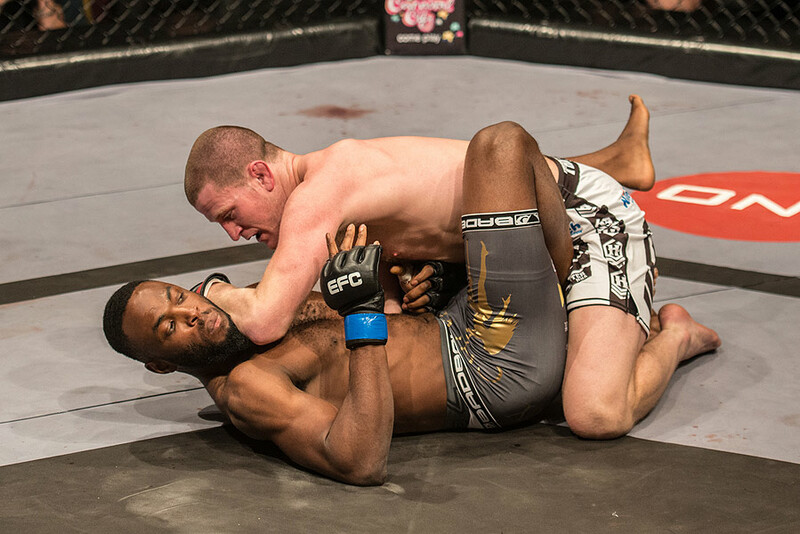 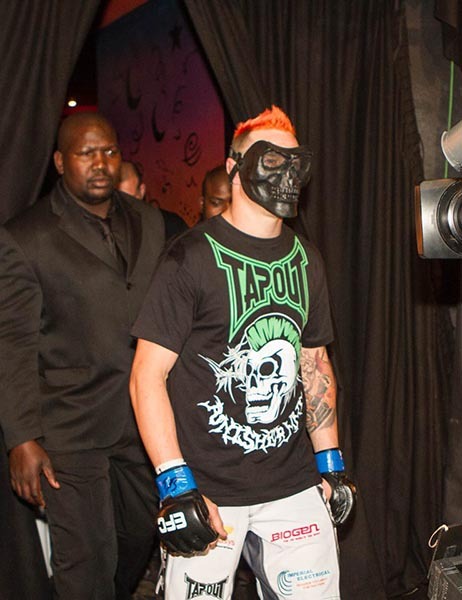 The pain was unreal but I had to fight through that and the ‘Cyborg’ trying to knock me out. 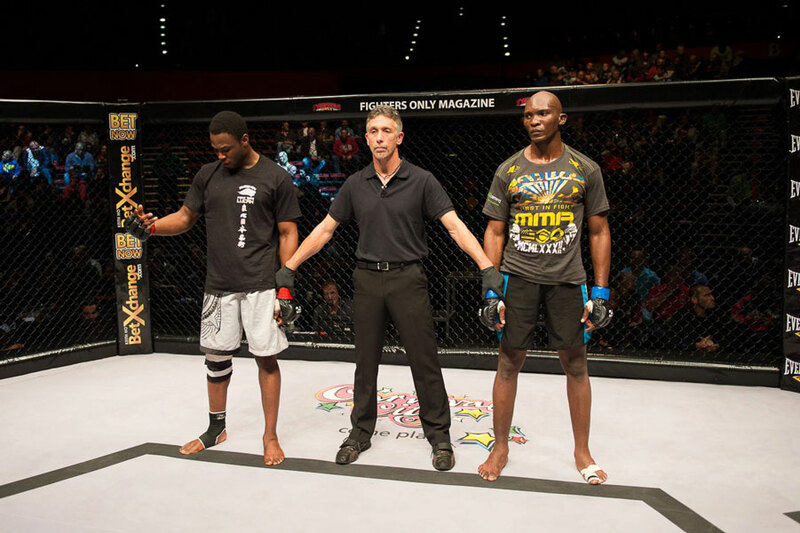 I won that fight by decision. 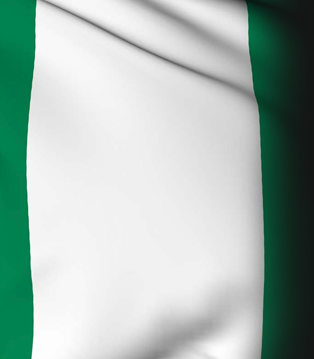 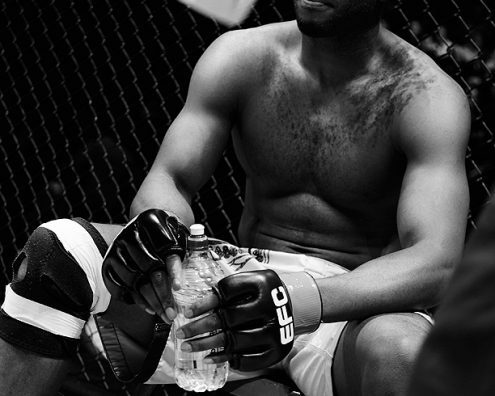 I can’t remember if it was unanimous or split, I just remember falling to my knees as soon as my name was called. 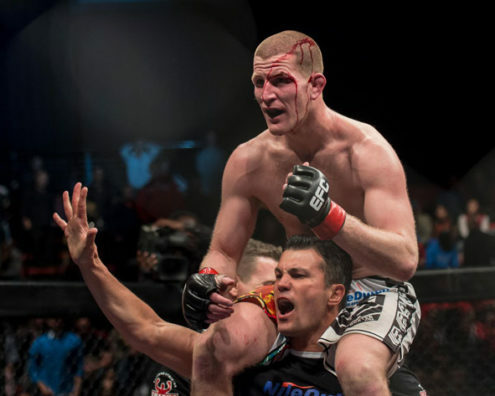 I couldn’t even celebrate after the fight as I was taken straight to the hospital on a wheelchair. 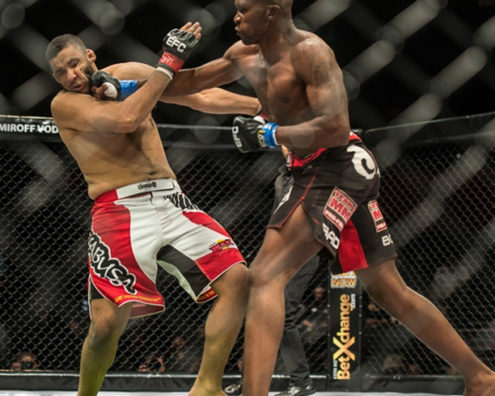 The body triangle because it perfect for my build, my skinny long legs. 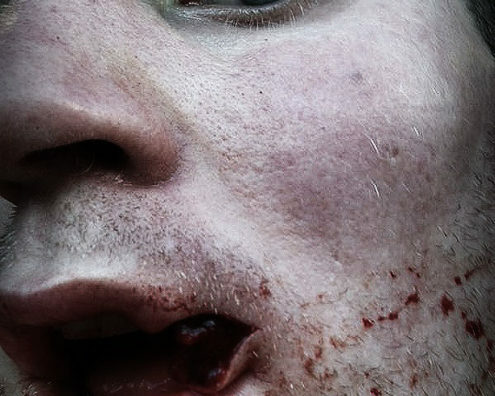 Also the panic face people get when they get caught in it! 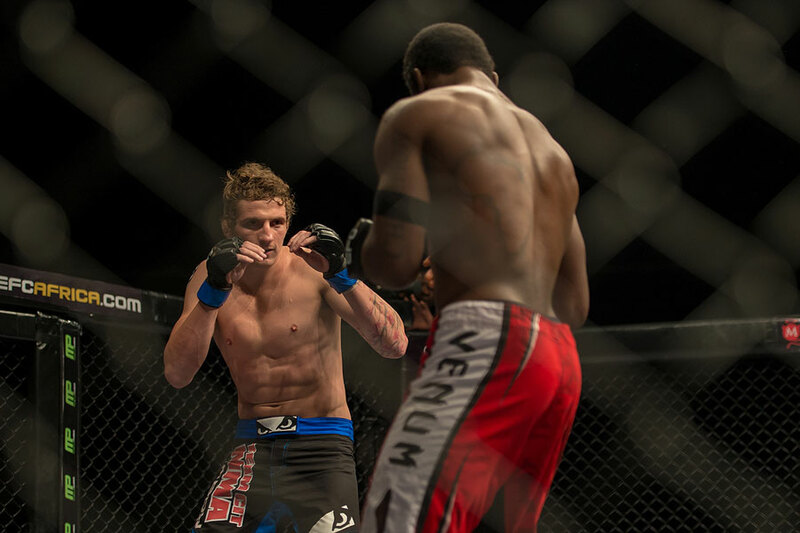 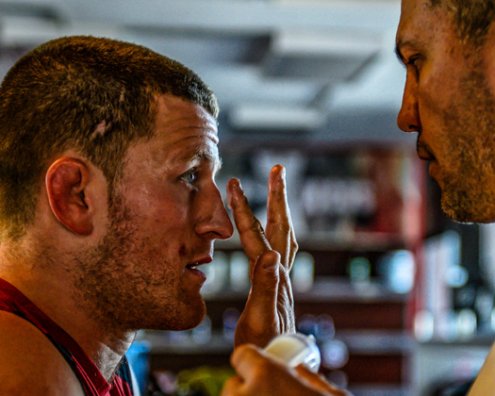 I pay more attention to putting on good fights and enjoying the 15 minutes I have to myself to try to beat my opponent. 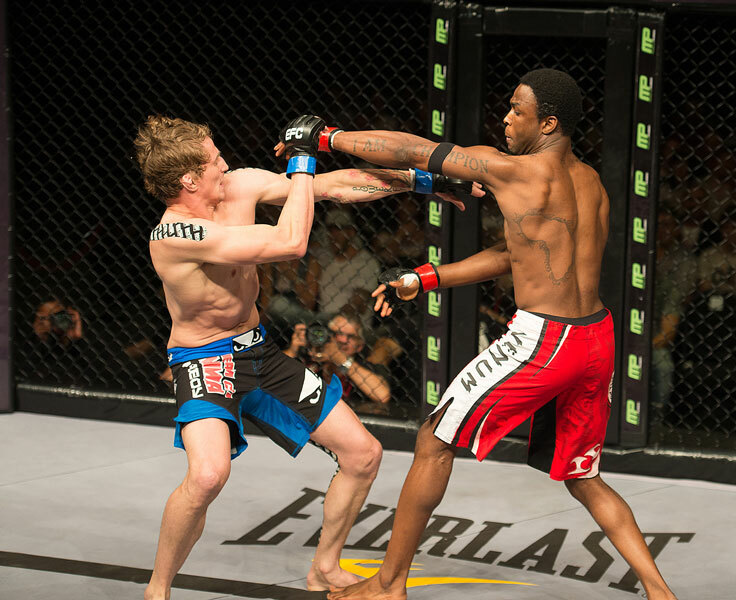 I hardly remember any of my amateur fights because most of them where 1st round KO’s and I don’t feel like I was pushed. 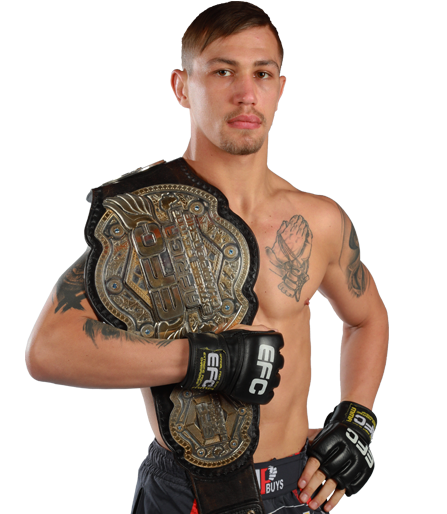 I’m young now and I’m just looking to gain as much experience as possible while maintaining the interest in my name. 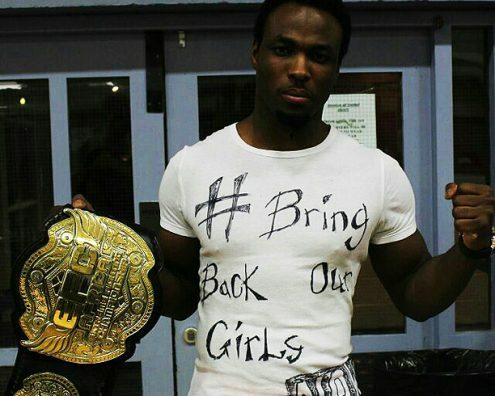 Give me about two years or less and the world will know Herculeez.